I love these little guys. It’s a shame they are difficult to get, but Dragon’s 1/144 series of armor is just really, really nice. 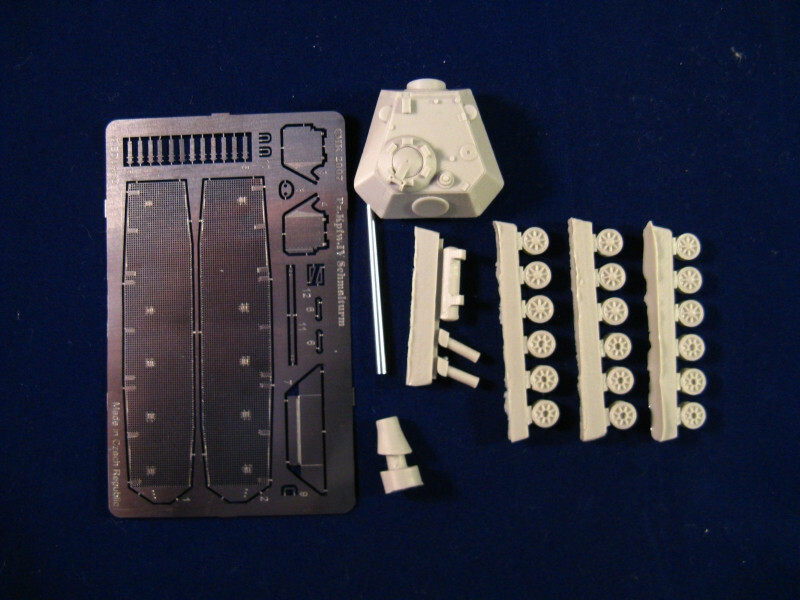 The detail is astonishingly crisp (many 1/72 kits have softer, worse detail), the assembly is simple… the best quick-and-dirty project you can ask for. 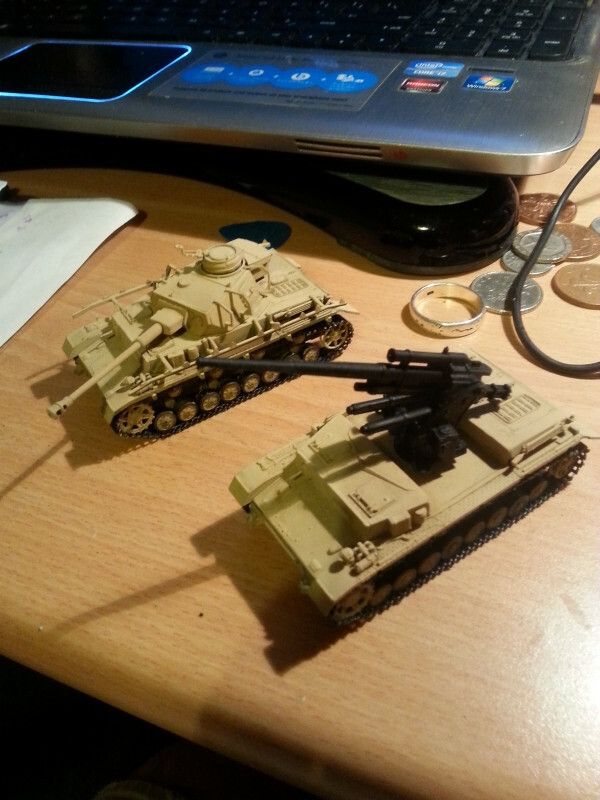 In less than an hour you get two models built; a couple of hours more, and they’re ready. eal rimmed wheel setup. Which is historically incorrect. 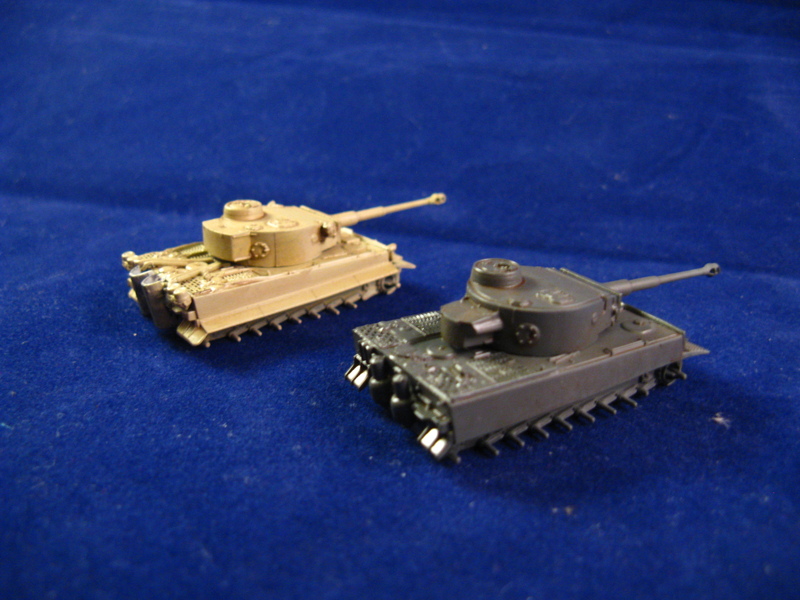 (Both Tiger I.’s are from the early series, which came with rubber tires.) The tracks are given as flexible bands; unfortunately one of them broke (the fit is really tight). 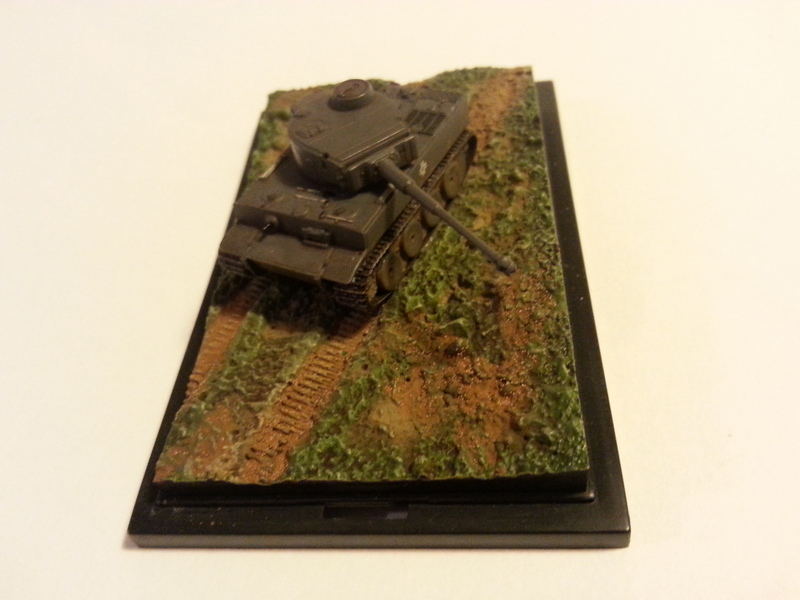 done on an assembly line, however, allowed me to get a nice finish on the paintjob in the simplest way possible. (It IS hard to achieve good results with paintbrushes. Not impossible, but hard.) The tools and cables were pained very carefully with the edge of a very thin paintbrush. I made sure the brush held only a very small amount of paint to make sure there would be no run-offs from the delicate details; this was a hybrid version of brush painting-drybrushing… the results are not perfect, but they would do. a color; it makes colors look flat and plain.) 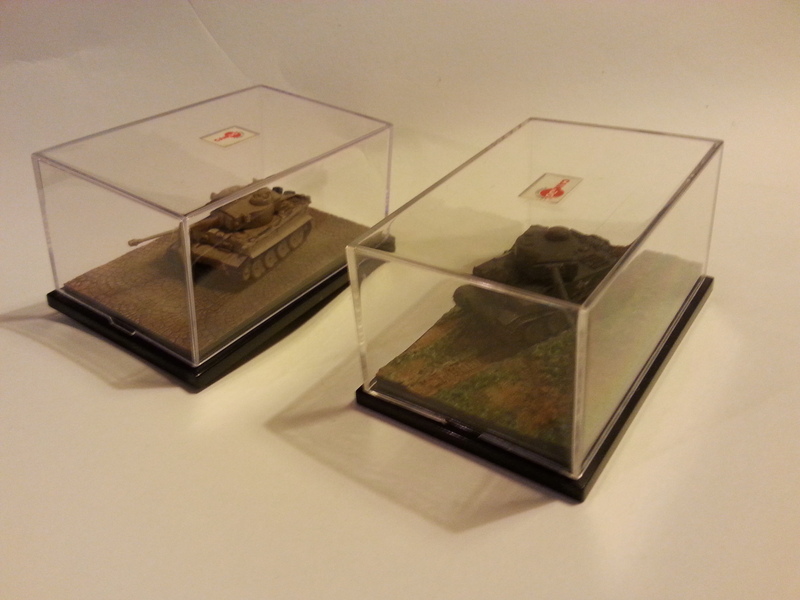 Once the decals were dry I sprayed semi-matte varnish on the models to protect them. 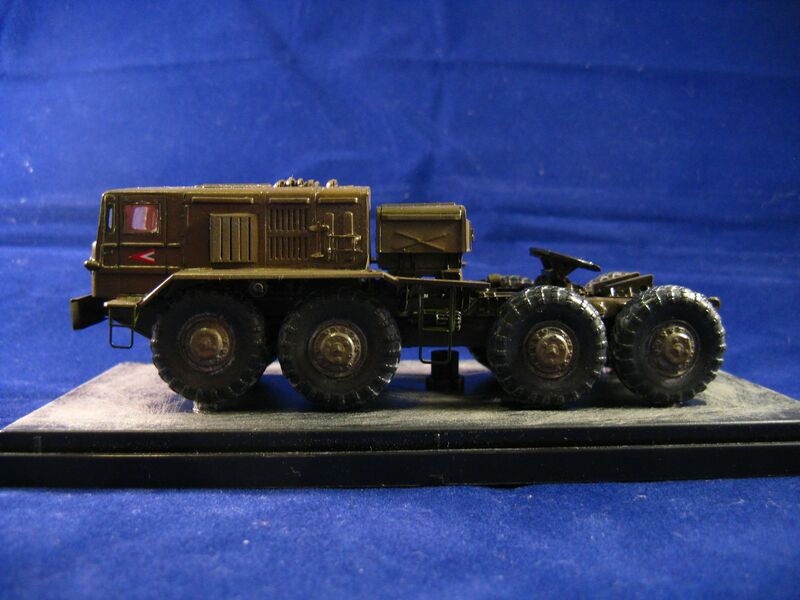 The only finicky thing to paint was the rubber tires of the road-wheels. 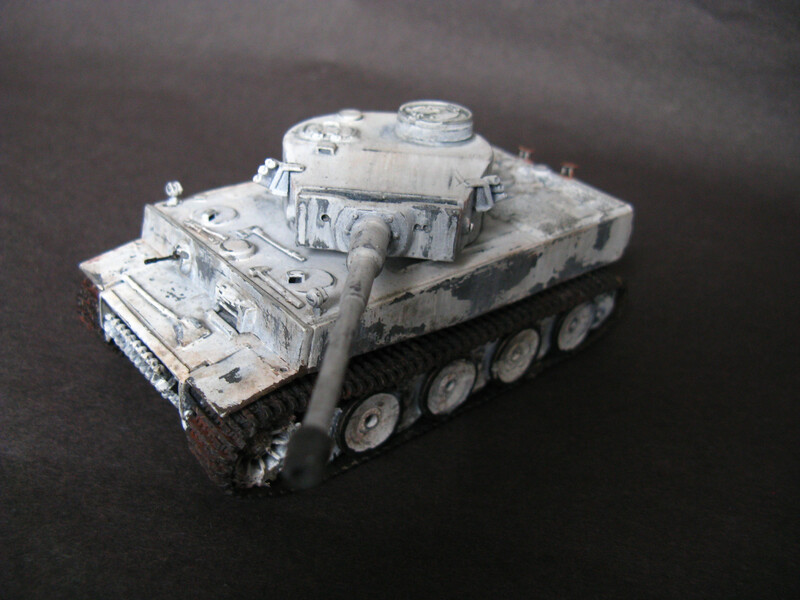 Weathering was done very lightly. Due to the scale of the models, subtlety was necessary. 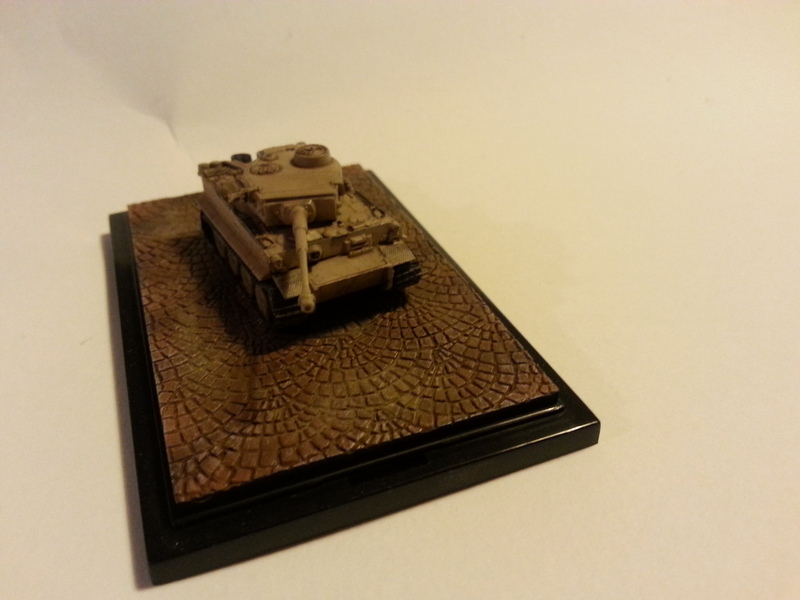 I used thin brownish paint to do pin washes, which did bring out the details nicely. 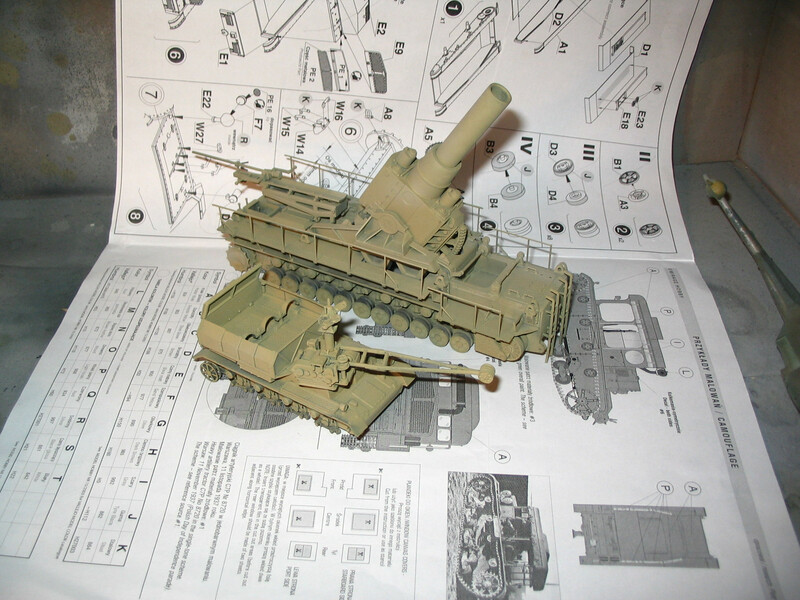 The wash was light both in color and application; after all the panel lines would not be very much visible in this scale. (This is a matter of taste -and the purpose of the model. 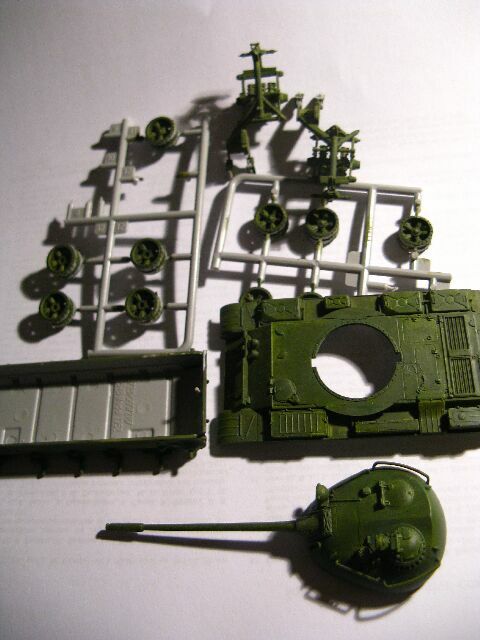 For example Warhammer 40k models usually go for the heavily accented panel lines to show contrast.) The same goes for the dust/mud. 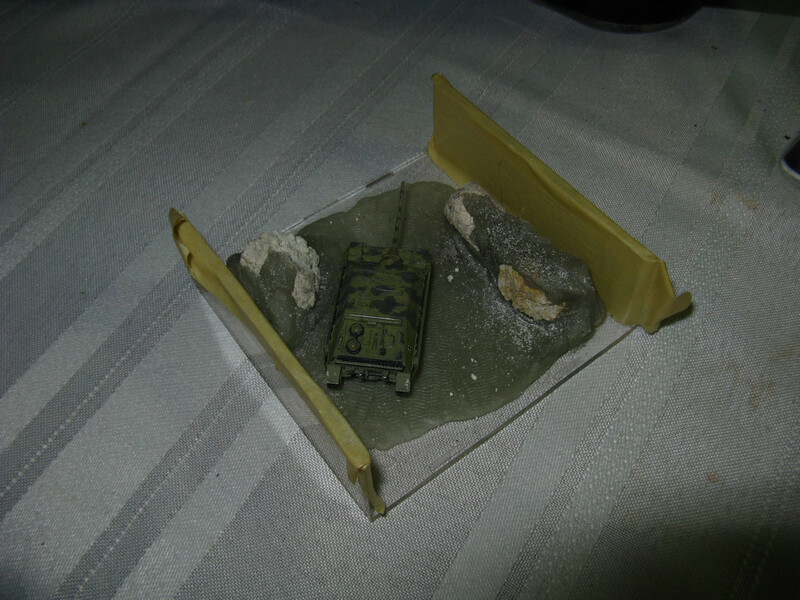 If you see apparent dust on the model, it would mean the real vehicle would have been probably covered by dust centimeters thick. I used a brush to layers of earth colored pigments dissolved in water onto the sides and top, and once dried, I used a stiff brush to remove most of it. Since I put these guys into display cases, I did not use any fixer. As a final touch I ran a soft leaded pencil over the raised details, rubbed it lightly against the surface of the mud guards; this gives a nice metallic sheen to the model. 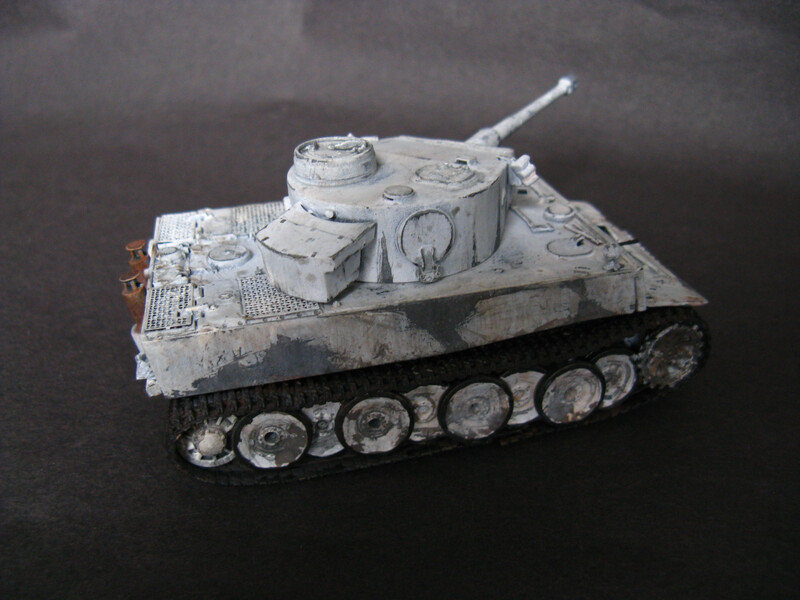 Paint chips and rust patches were not applied (as they should not be visible in this scale). OK, this one is a personal thing. 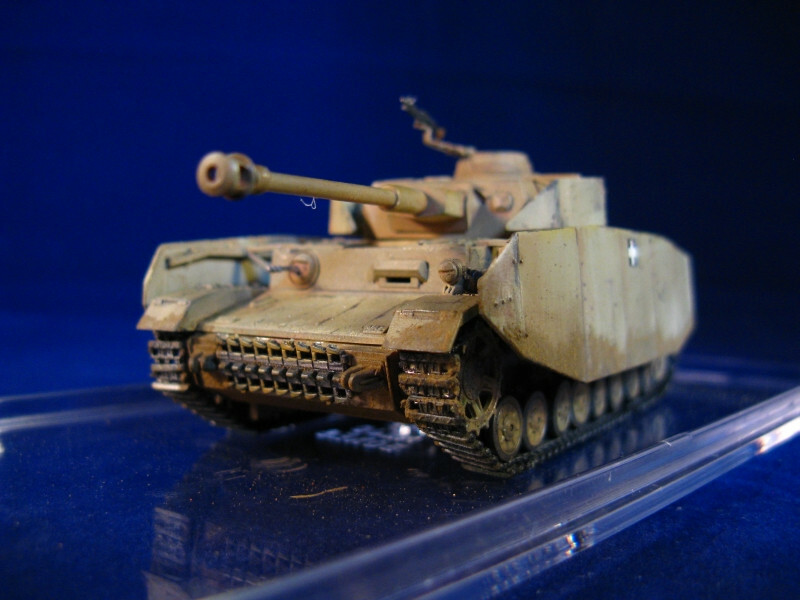 My then-girlfriend bought it, so she could try her hand in modelbuilding. She was very sweet; she wanted to see what my hobby is like. Then she got her degree, and went back to China; the model was left unfinished. We decided to finish it together. She said if I can’t find a job there, she would come back to make her life here with me. I visited once, we were talking about weddings and such, but about six months after my visit she disappeared, and have not heard from her since. So yeah. 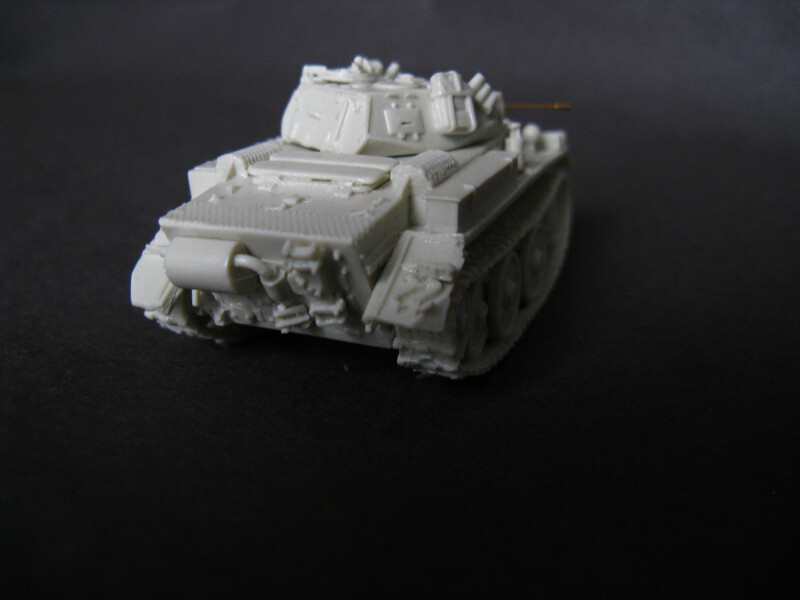 This model was in my spares box, waiting to be finished; a constant reminder of unfinished things in life. 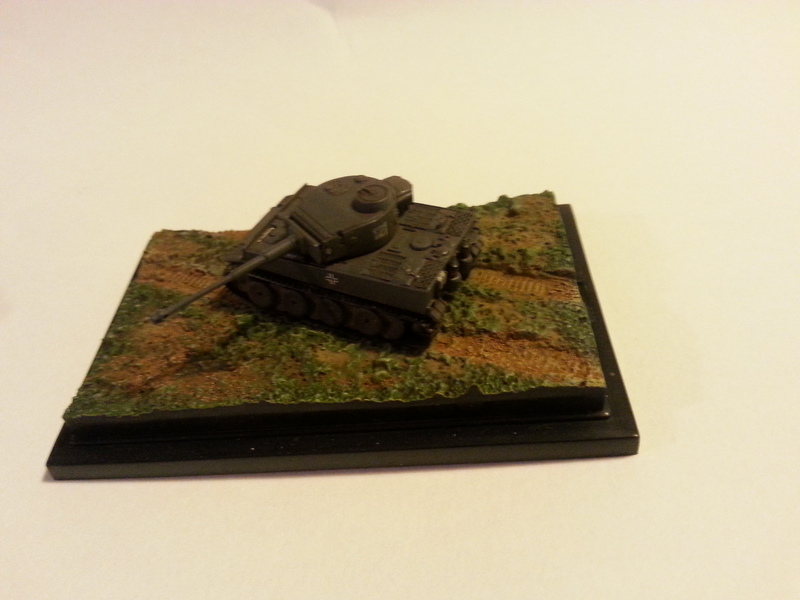 I thought it might be therapeutic to finally complete this model. 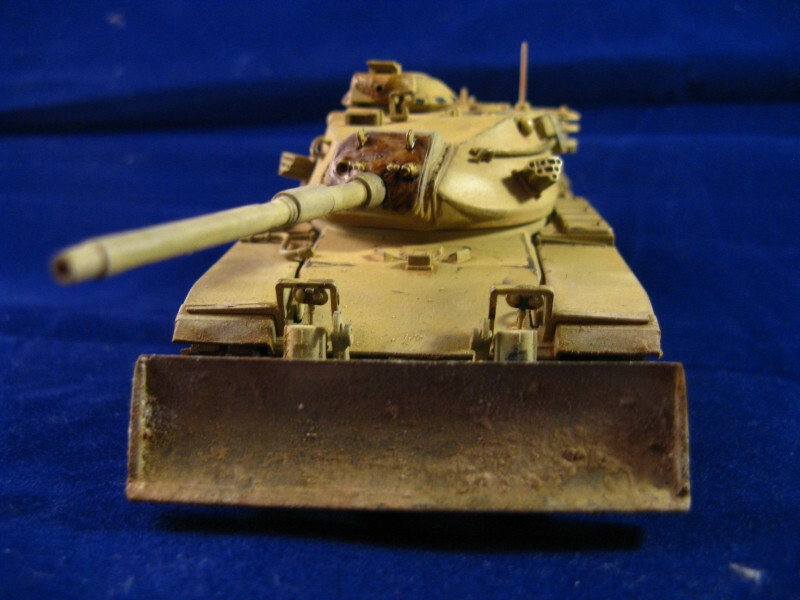 Nothing special: just desert camo, because I liked the way the Egyptian M60s looked (although no markings), with some rust and dust on the dozer blade, and some scratches and dust on the tank itself. The commander’s machine gun, and the decal sheet has been lost. Well, back to the tank. The PnzIV was already approaching the limits they could squeeze out of the chassis; the ausf J was an attempt to remedy this issue. 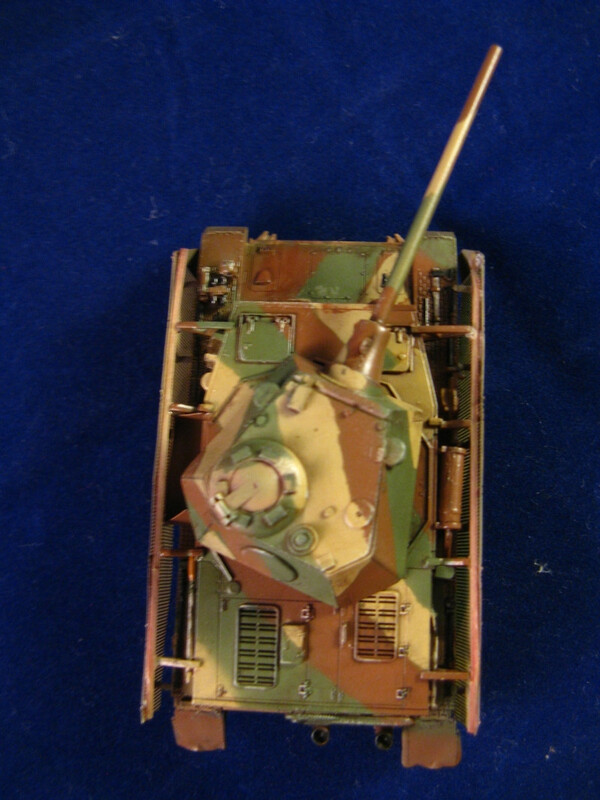 The ausf H was already overstressed in several areas: it was, for example, so nose-heavy, the front suspensions were constantly under pressure. 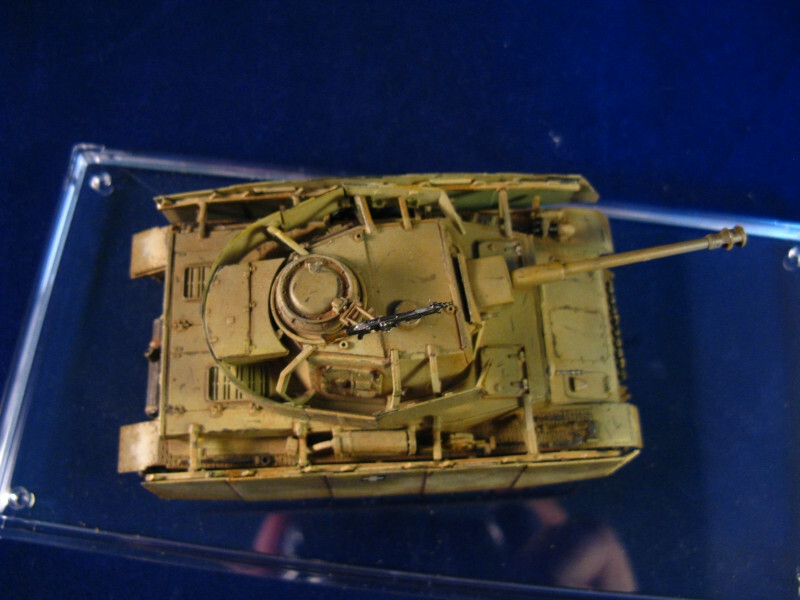 They simplified a lot of things (the turret traverse was manual only, they used all-steel return-rollers, changed the side-skirts into wire mesh, etc). 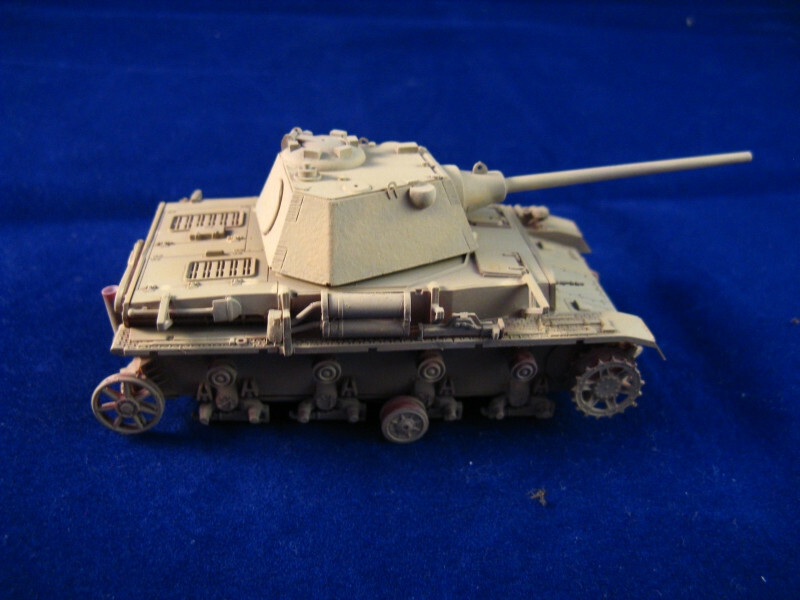 The next “logical” step was to put the Schmalturm designed for the Panther onto this overstressed chassis to give it some extra firepower (kind of like a poor man’s Panther). Perhaps the turret-ring issue was not that big of a deal (the Schmalturm’s diameter is somewhat larger than the pnzIV turret’s), but the additional weight would have certainly made this tank immobile. 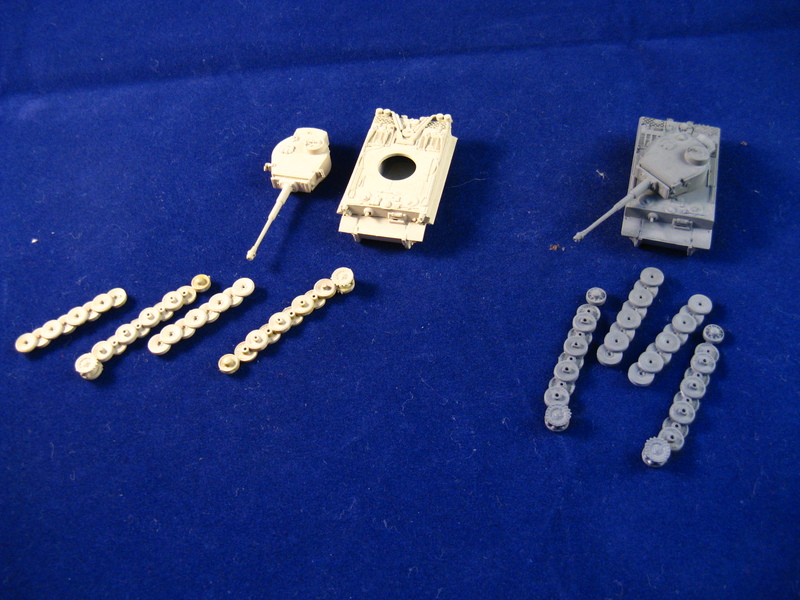 CMK makes a pretty cool little conversion set, which should be used with an ausf J model, but unfortunately, the only available ones are ausf Hs. 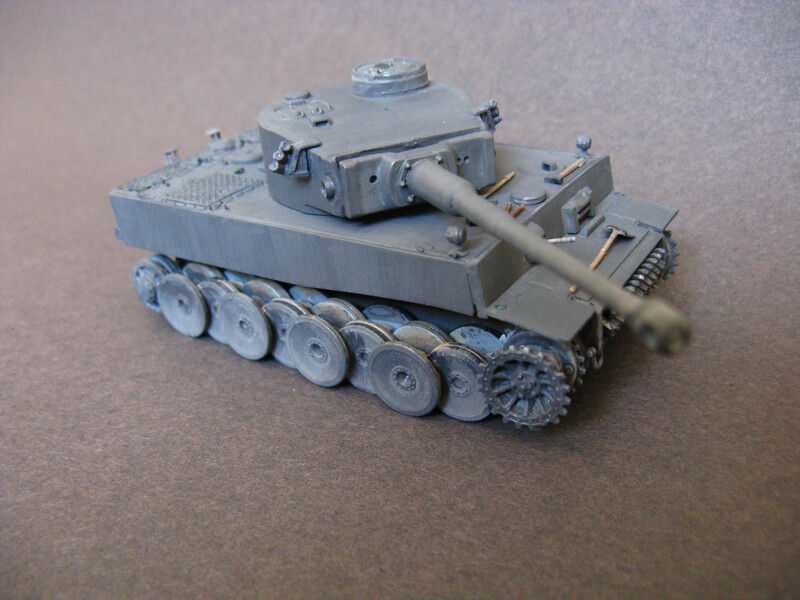 You shall have to live with this, if you want to have a model of this tank. 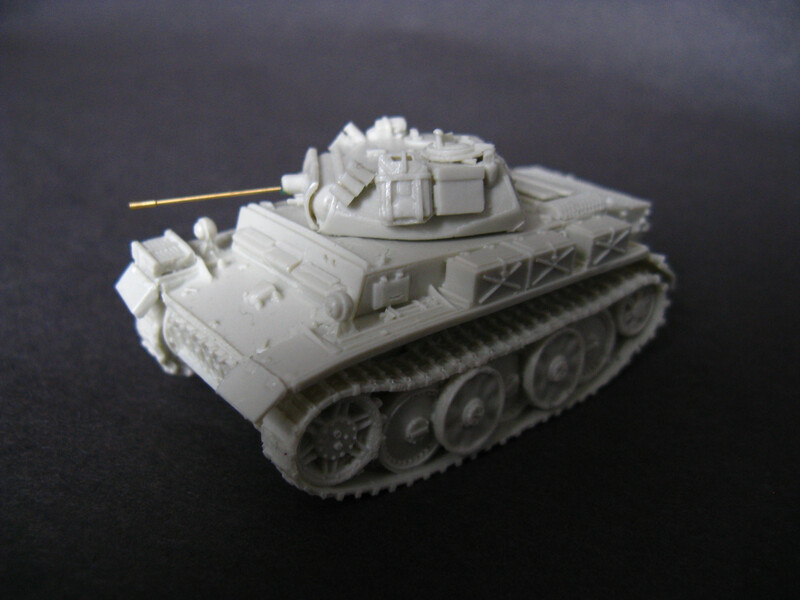 The conversion is simple, the casting is nice (I like the turret armor’s texture), and you get some extras (like metal mudguards -only for the back side, though). 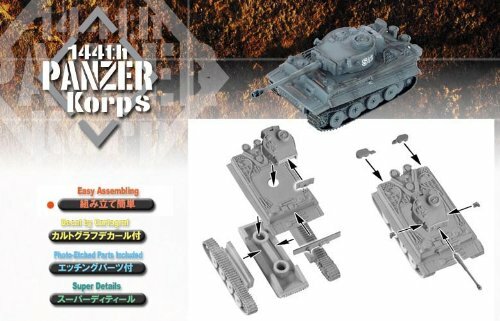 The conversion uses some parts of the model’s side-skirts; I would have preferred to have the mounting brackets made of metal. 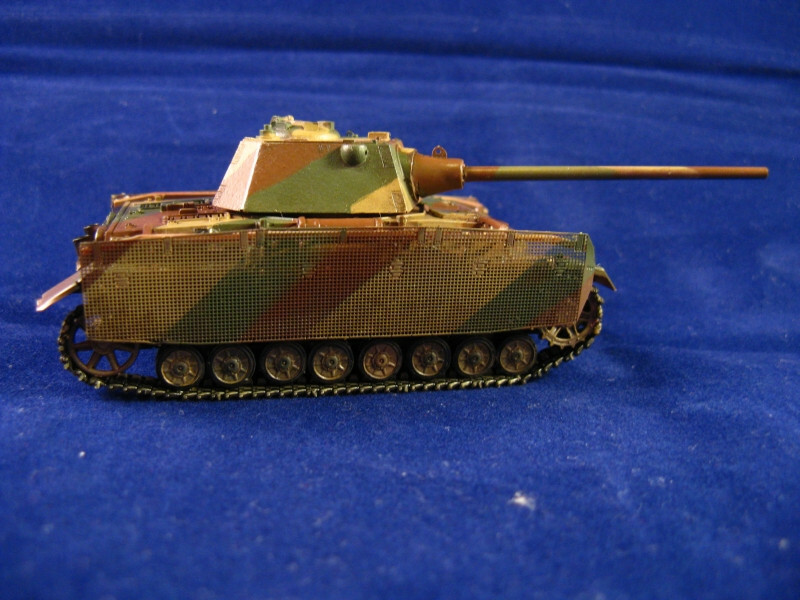 The build is a pleasant one; you build the chassis, and stick the turret on top. First red-brown layer -it looks more red on the photo. 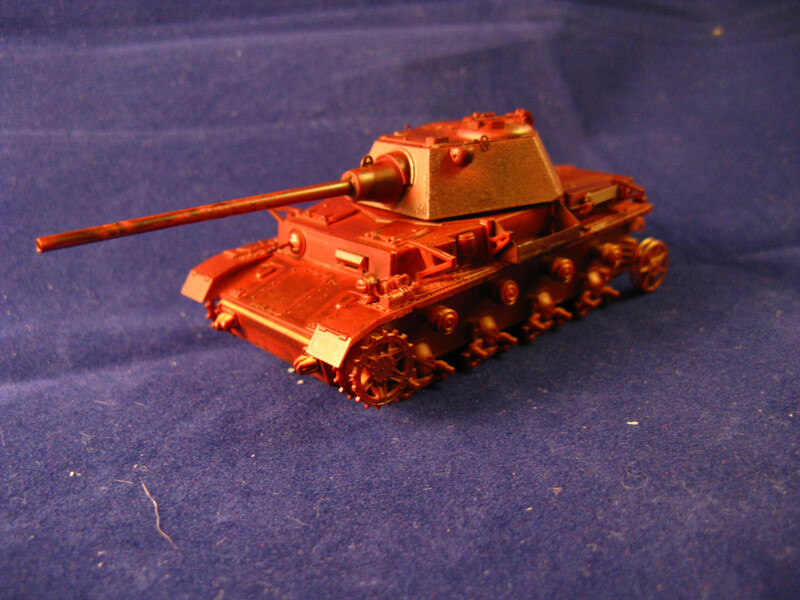 It simulates the red-oxide primer for the metal. It will give some nice modulation to the subsequent layers. Dunkelgelb. The photo is way too pale, but it IS yellow, I promise. I mixed quite a lot of tan to simulate the scale effect (colors look darker on smaller objects, so they need to be lightened to be realistic). 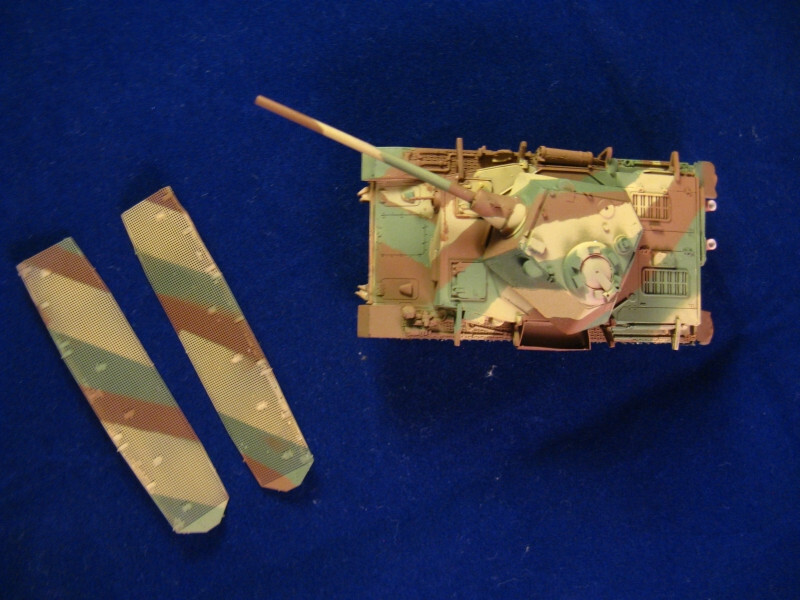 I used masking tape to mask the different colors; I chose the camo pattern from my premium tank in WoT. 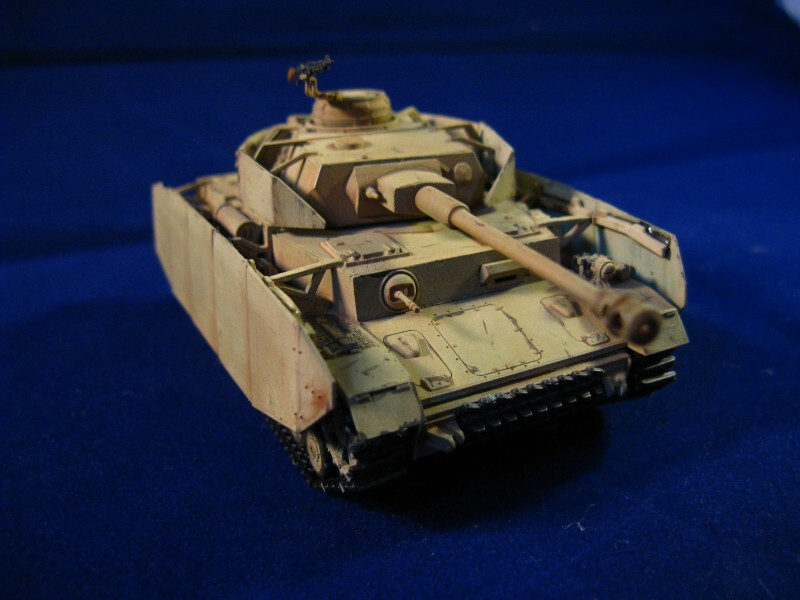 I only wanted to do some light weathering; after all, this is a never built, hypothetical tank. 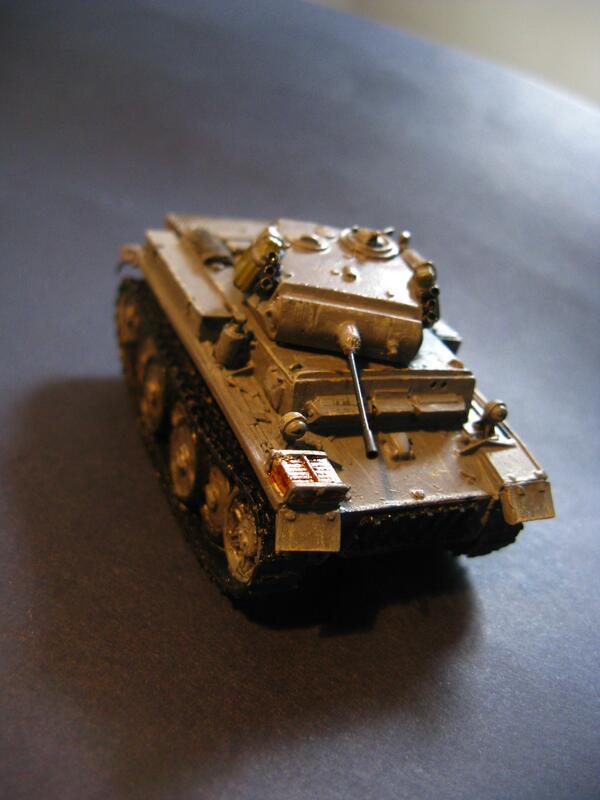 Some filters, a little bit of scratching, a light pinwash, and some dust (pigments). 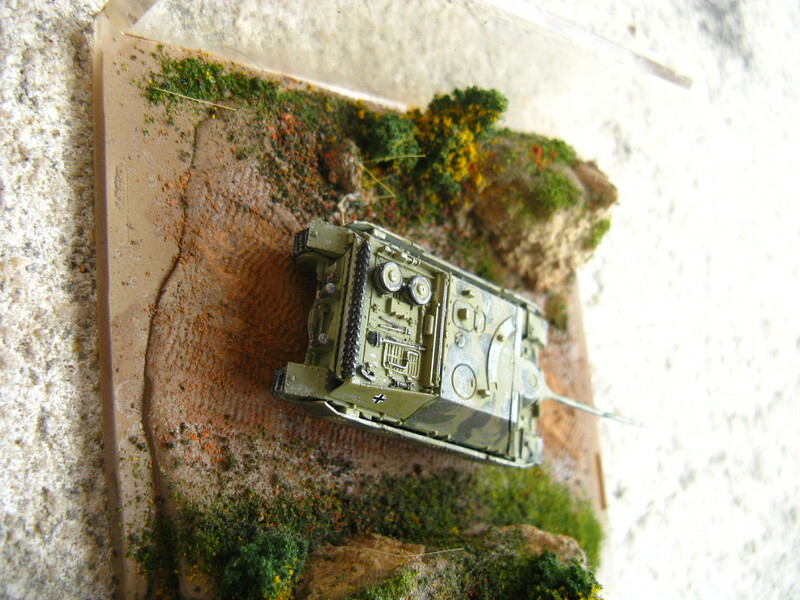 I used a pencil on the edges of the model; this gives a metallic look for the tank. 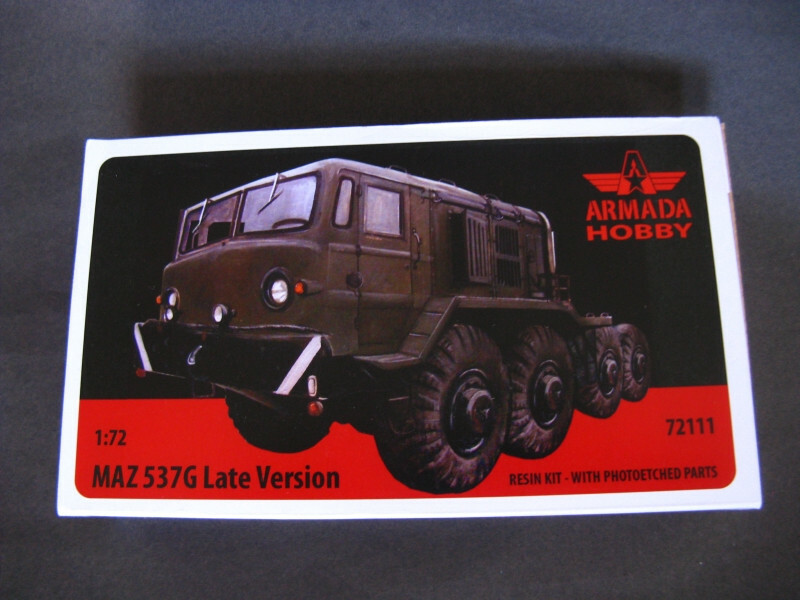 The model is made by Armada, and I have to say, it’s one of the best 1/72 resin model (possibly one of the best 1/72 in any medium) I’ve ever seen. 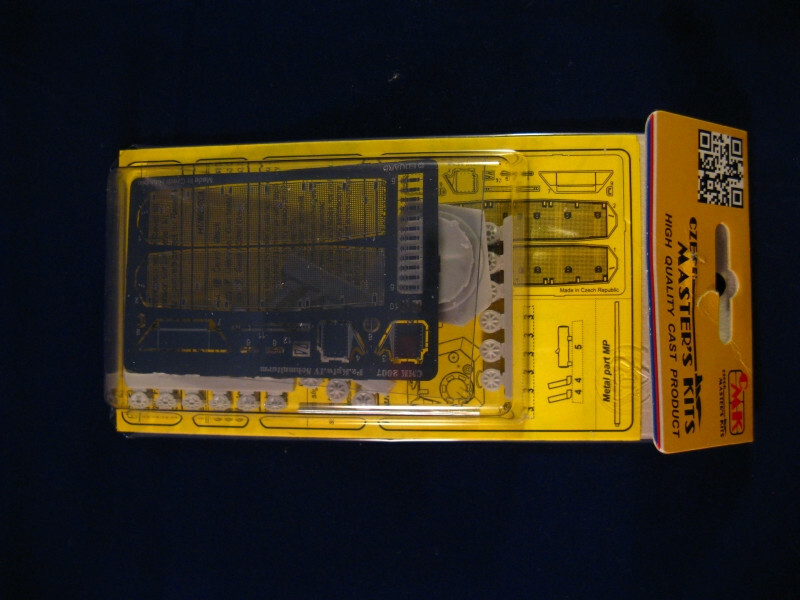 The instructions are clear (which is something of a novelty when it comes to resin models from any model maker), the parts are well-cast, delicate and well-detailed. Assembly is straightforward. The wheel hubs fit into the suspension parts like a glove – very well designed parts. 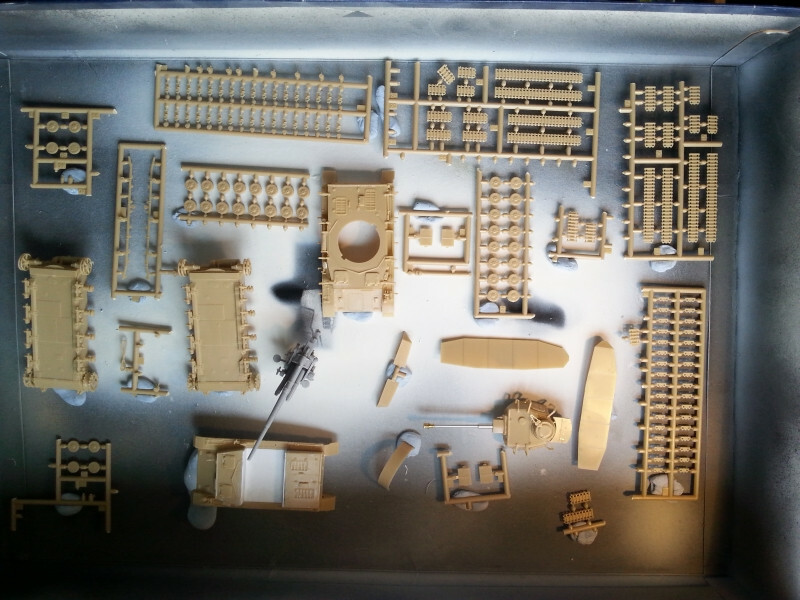 I had my worries when I saw how they are supposed to be put together, as I have some experience with resin kits, but I was pleasantly surprised. The cab is dressed up by the PE quite nicely. The mudguards are well-done, but are made of two segments, which make the assembly a bit awkward. This is only the first part attached. The second one is an overhang, which has to be attached to the front parts, and to the chassis using PE brackets at the same time. This makes alignment really difficult. 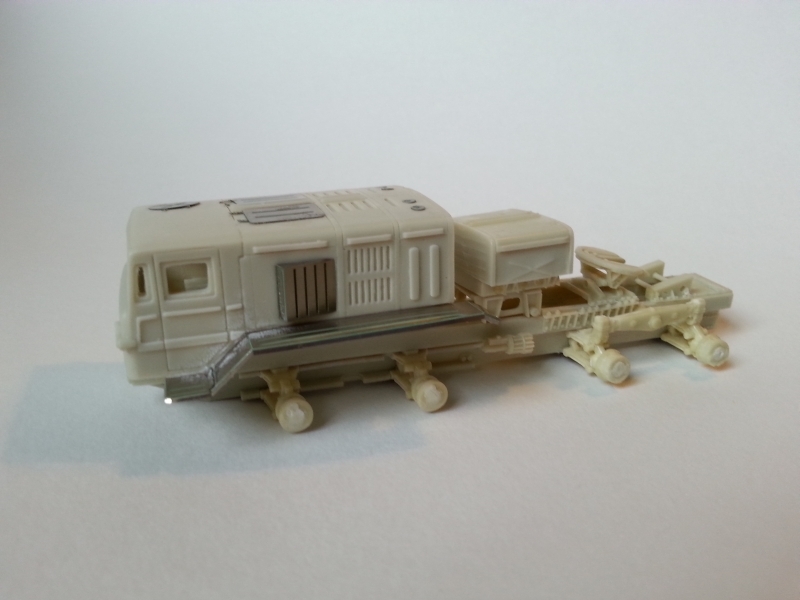 I really am sorry that the engine compartment is closed… An engine would have been an amazing addition to this kit. Dryfitting. 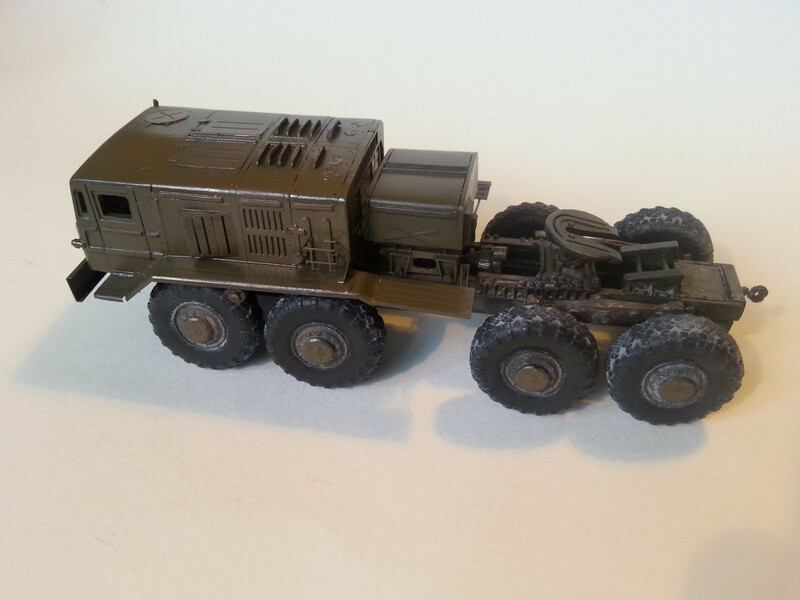 The cab and the superstructure behind it are only placed onto the chassis to check the fit. They were only glued on after the painting process was complete. The cockpit is painted (it’s not very detailed, but not much can be seen through the windows), the cab is closed, all is glued on. 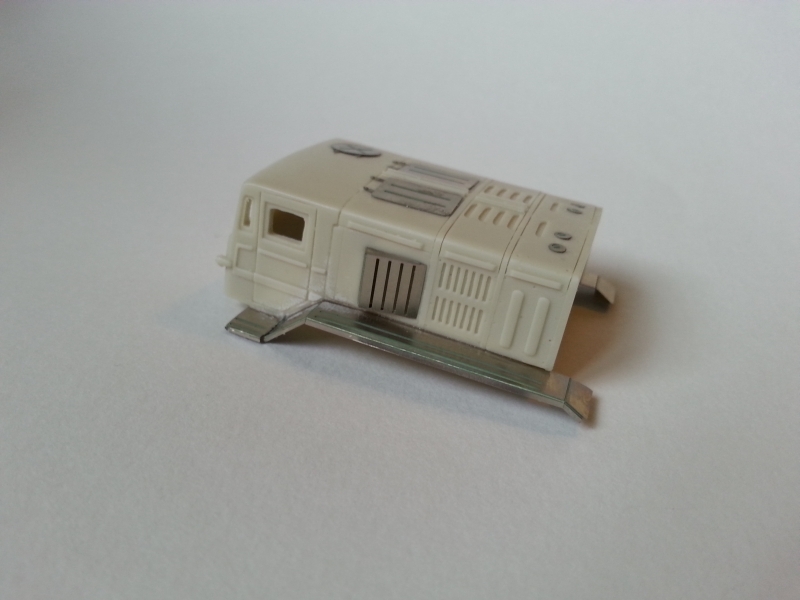 The second part of the mudguards finally fixed onto the model… it was probably the most difficult part of the built. First layer of paint. Not very convincing. 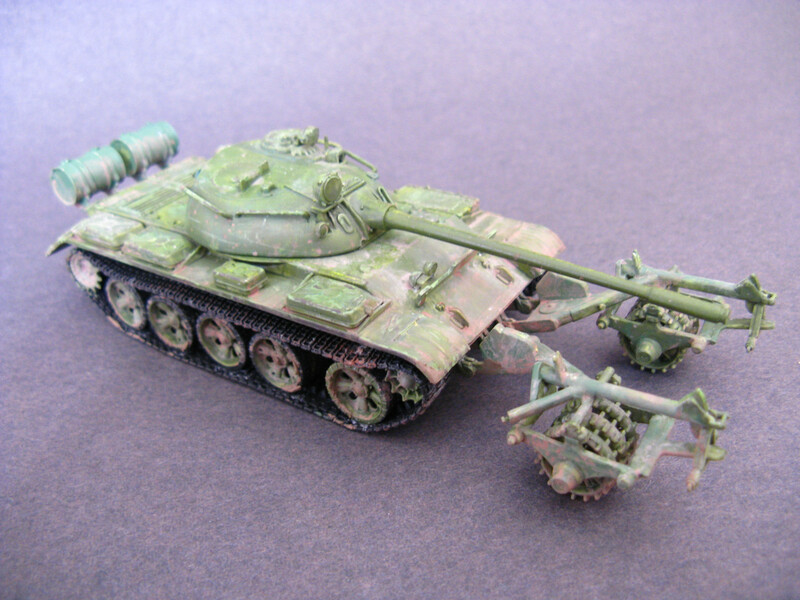 I tried to mix that brownish color the Hungarian vehicles were painted in, instead of the typical T-34 Russian green color, which was the first attempt. I have to say, after some trial and error, the mixture looks good. You can also see the brackets holding the second parts of the mudguards. All glued on, wheels added. The back ones are not completely aligned. I think the wheel hubs should be glued on with the wheels already on; this would make the alignment easier. 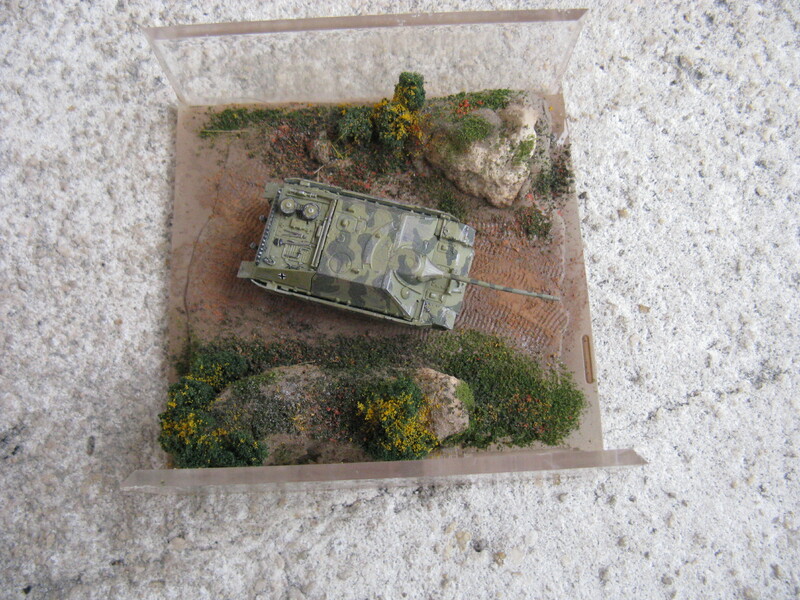 The windscreen was cut out from the provided transparent sheet, and all the tiny PE added. I printed out some decals using an ink-jet printer. 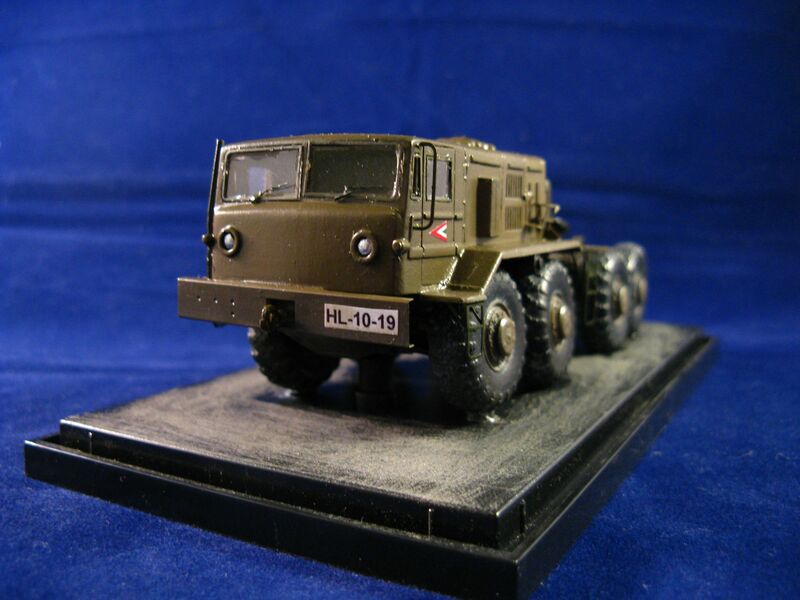 I wanted to depict a Hungarian vehicle, with relatively little wear and tear. (Not many muddy roads to go around.) 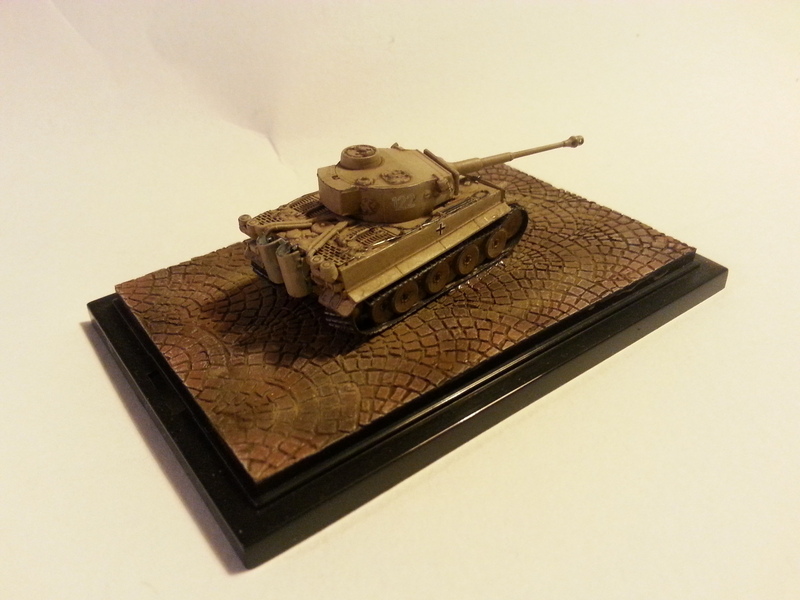 I mounted the model onto the base of an old car-display case; I will have to work on the surface a bit more. As an ex-soldier friend immediately pointed out the license plate is wrong; the military uses their own numbering systems. Oh well. I really was worried about this build, and kept putting it off; the number of parts, the complexity, and the worries about accuracy made me anxious to start it. But the thing is, this was the best braille model I’ve ever built. I think. I certainly enjoyed building it the most. 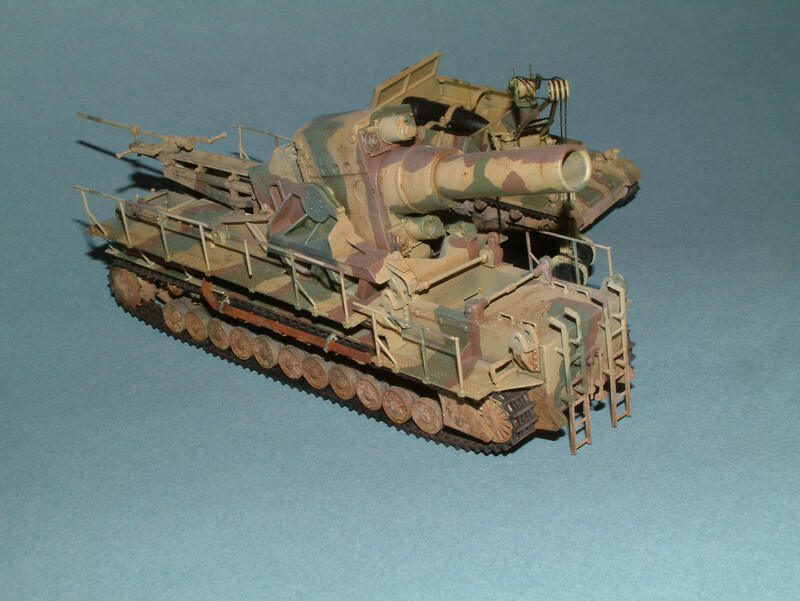 The first of the pnzIV’s I’ve built in the last couple of months… Only got a turned metal barrel, as you really don’t need anything else for this kit. (OK, the side-skirts could have been switched to PE, but they look pretty good out of plastic, too.) I did notice the barrel makes an incredible difference. 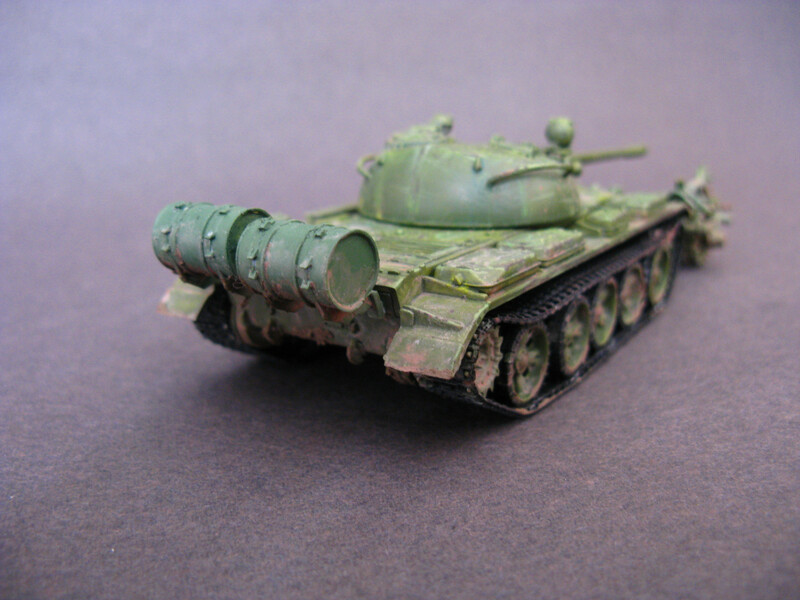 When you use the plastic barrels provided with models you can’t really see the tiny irregularities, the seams, the marks left by sanding, unless you look for them, but your brain notices. 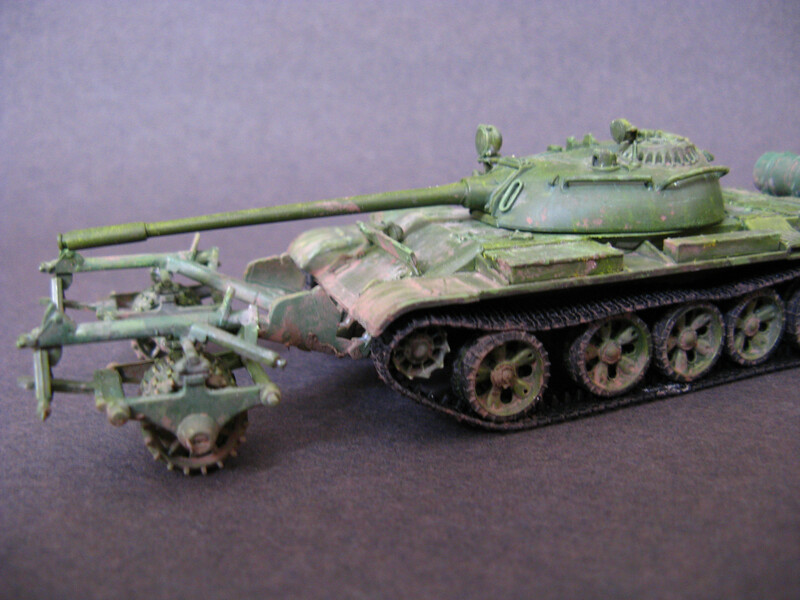 Swapping the plastic barrel for a metal one is the easiest thing to do to improve your model’s looks. It also saves you from the pain of trying to remove a longitudinal seam. Guest performer: a Flak88 conversion I’ve been working on since October. 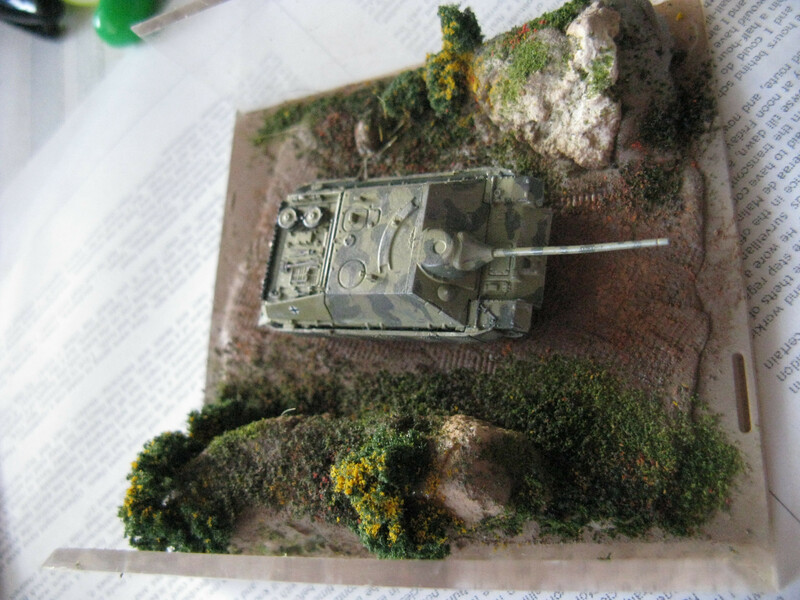 I had this kit since two years ago when I finally found it in a ModelZone in Manchester. The decision to build it was not really made consciously. 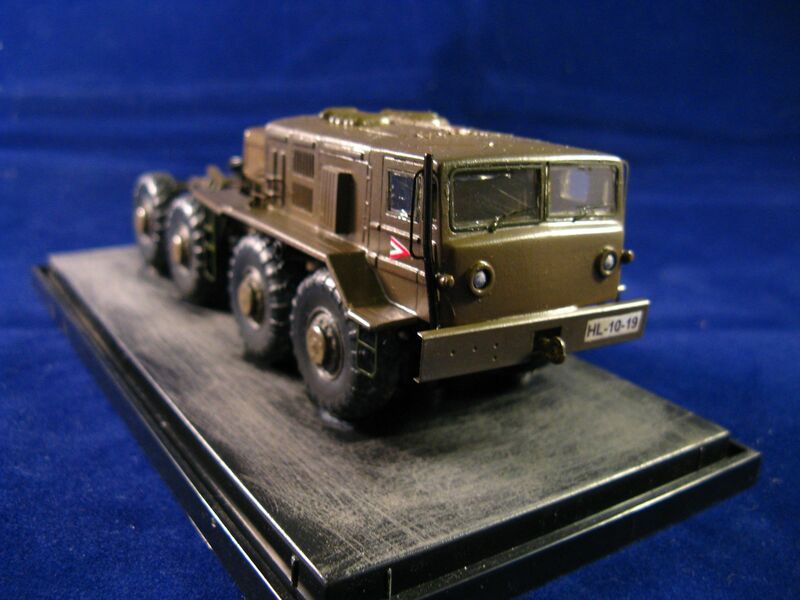 There were several factors: the currently ongoing Flak campaign on Armorama where I planned to build a pnzIV with a flak88 conversion. I had two boxes of the same kit (the second one came from ebay for about $5). 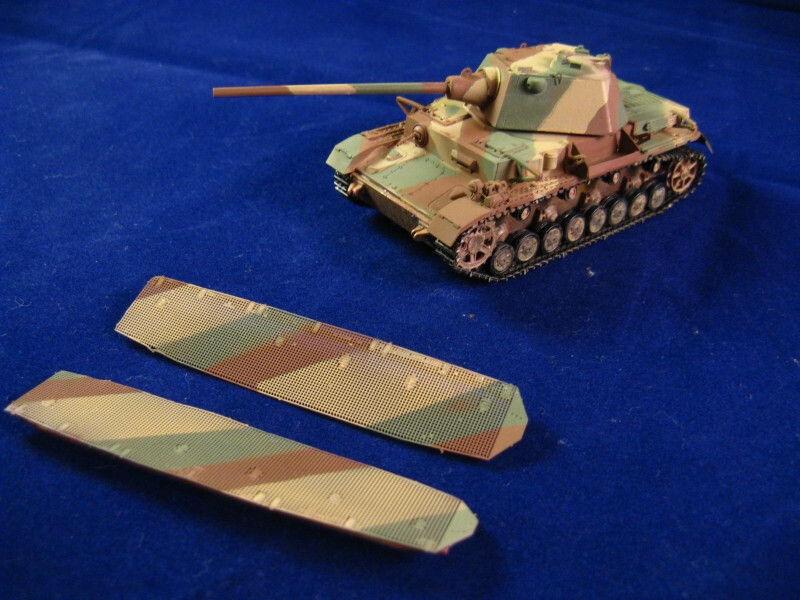 And last but not least I also had the 1/72 Bison decal set for Hungarian tanks. 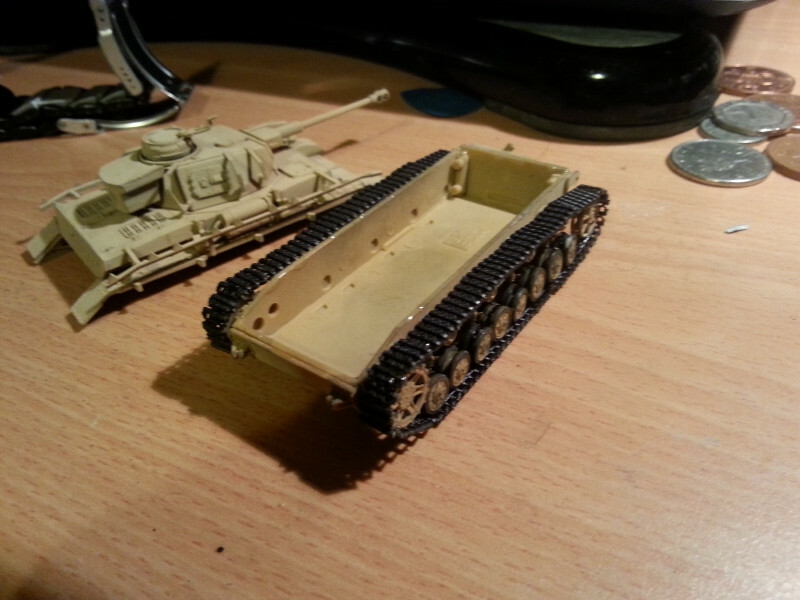 So instead of one tank I built two in parallel. 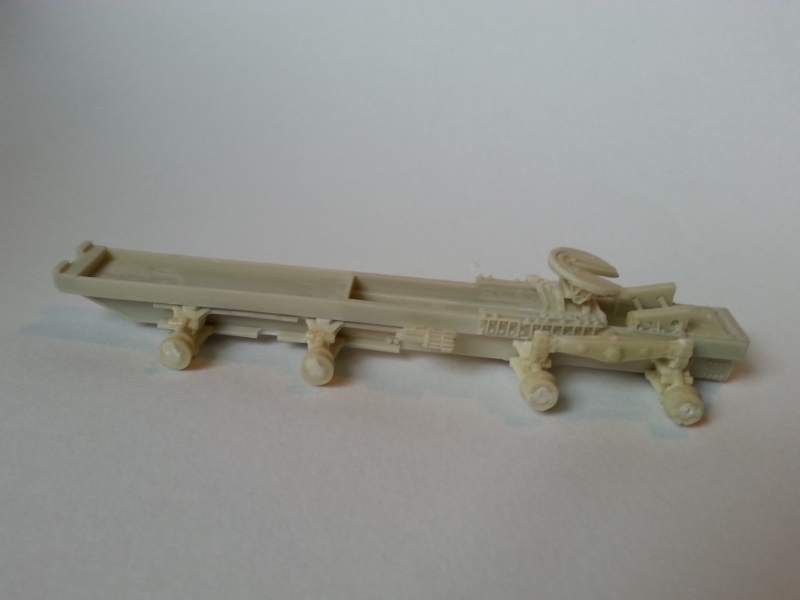 The tracks are given as link-and-length plastic tracks, which would make assembly awkward should you decide to glue the two halves of the hull together. This necessitates building an painting the model in two halves. 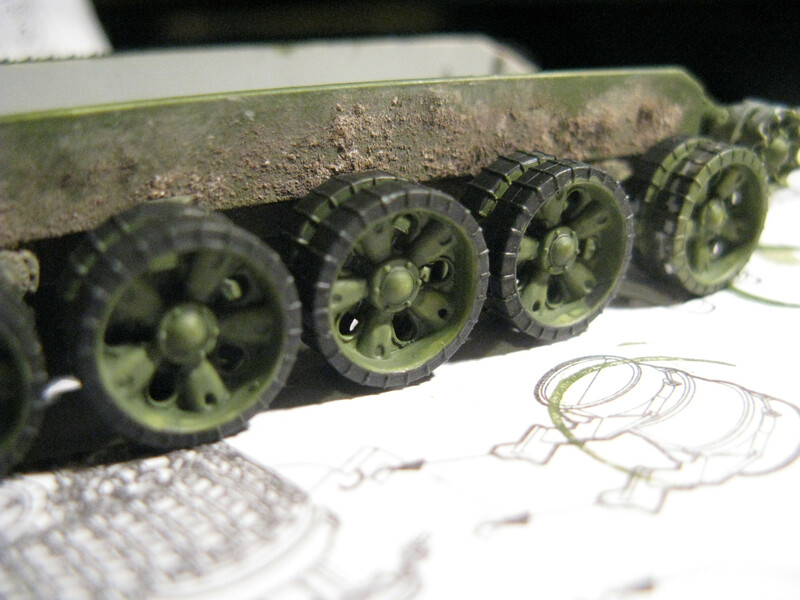 The tracks are on, the lower hull is weathered (it’s easier to apply pigments before you glue the roadwheels on). The tracks are OK. They are easy to work with, and do look convincing; the plastic is elastic and soft enough so you can bend it to shape on the top; after all, there should be a slight sag between the return rollers. NOW you can glue the two halves together. Next step: painting the tools, and adding some paint chips with a darker version of the yellow onto surfaces/edges. I tried to choose parts which are subjected to wear and tear by the crew and by the environment (hatches, mudguards, side-skirts, etc). 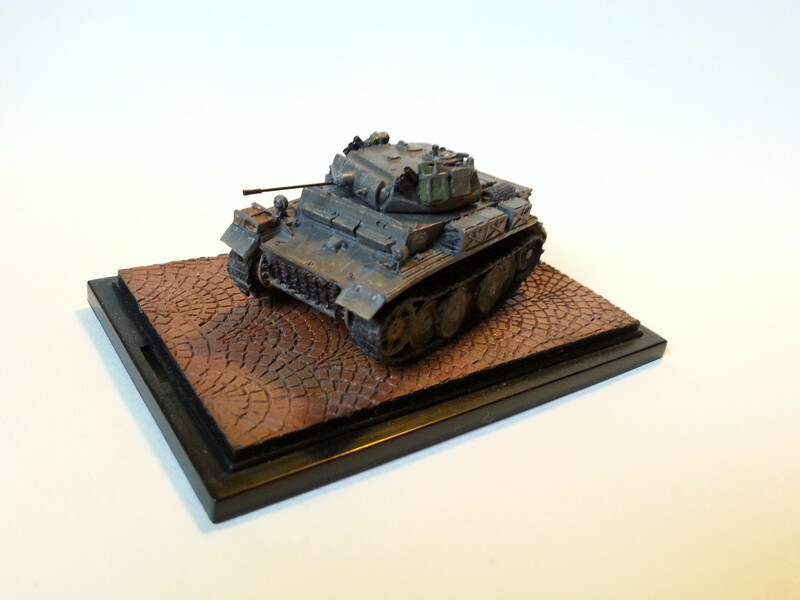 Weathering: pinwashes and filters using oils. I also applied a very light layer of pigments dissolved in water onto the vertical surfaces to simulate dust. 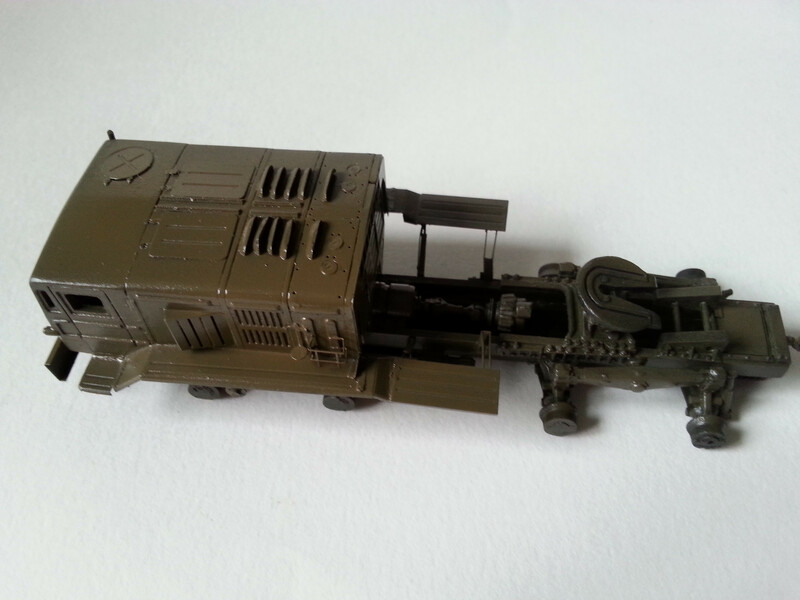 Pigments dissolved in white spirit are applied to the lower part of the side-skirts and the chassis to add some wet-mud effect. 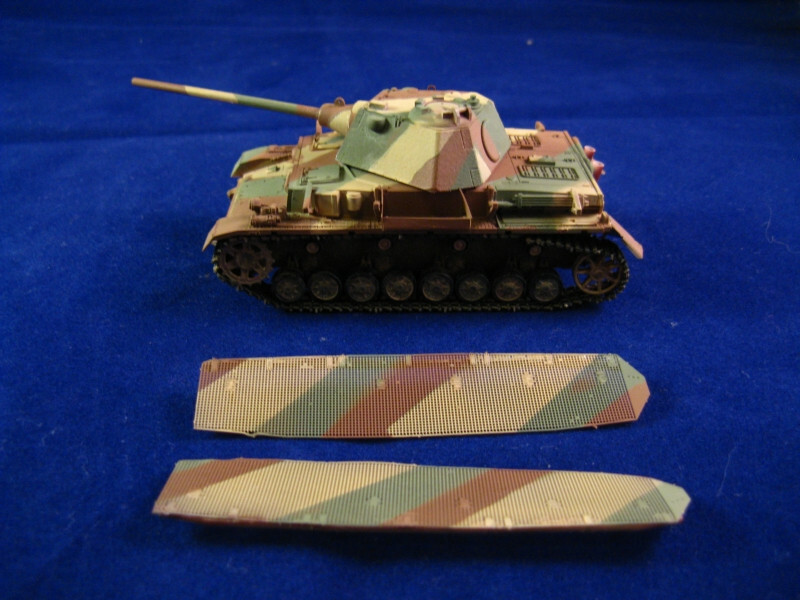 The whole “Hungarian markings” come from two small insignia placed onto the side-skirts… not a very difficult job. 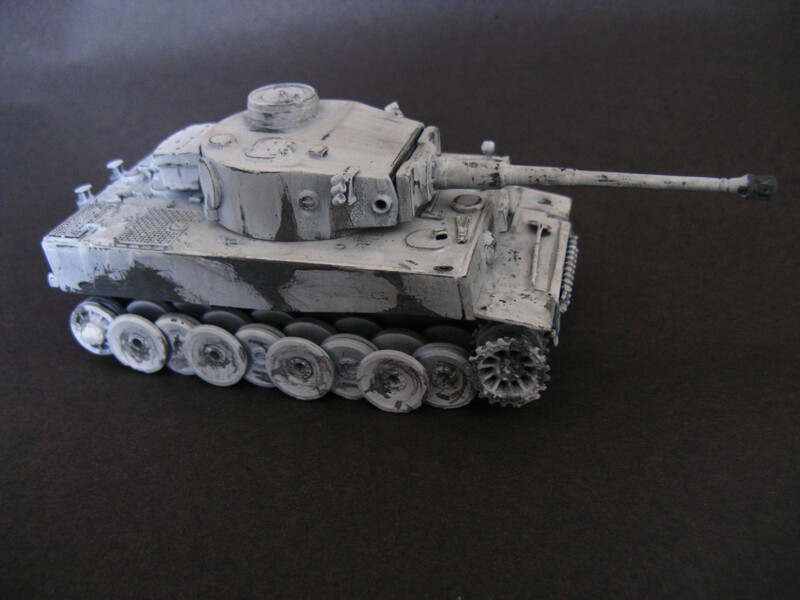 After drying the paintwork and decals were sealed with a very light matte varnish spray. Last step: the good old pencil along the edges to add some metallic shine. 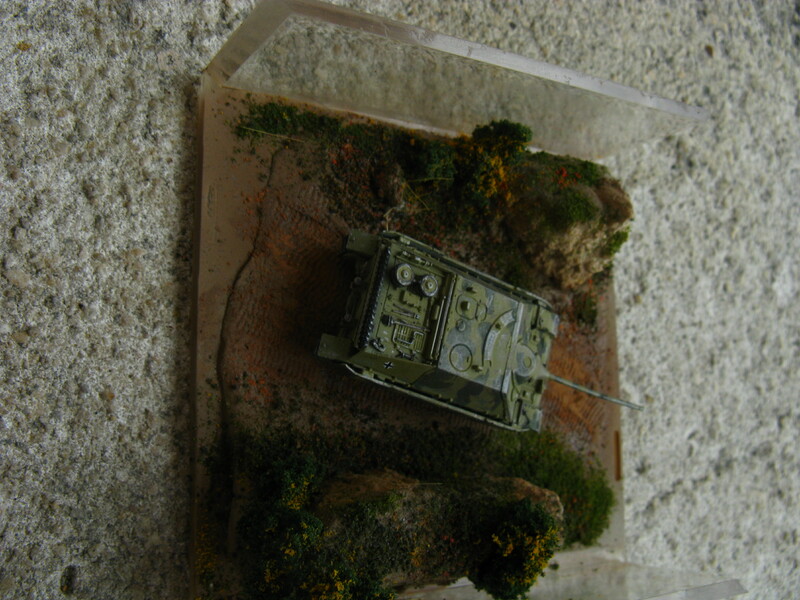 Glue the tank onto the base of the display case, and done. 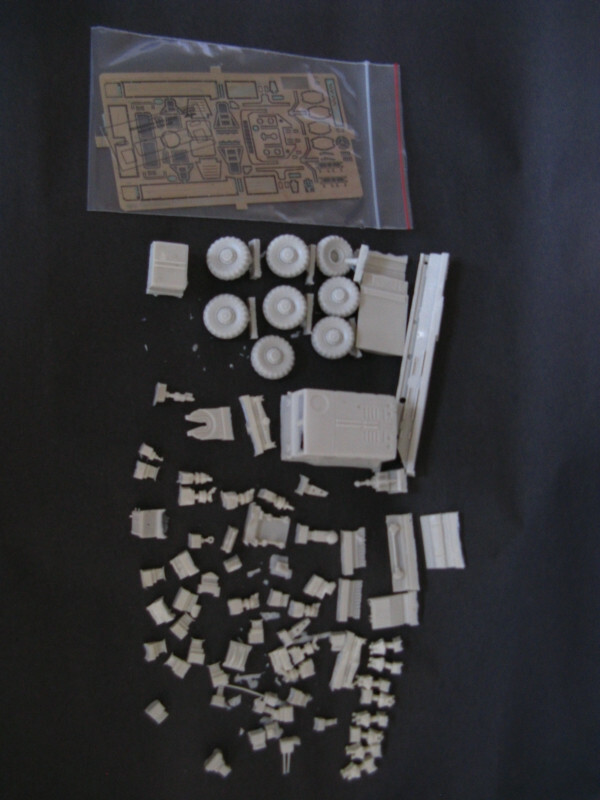 It was kind of fortunate that I did have this particular kit, though, because it has a lot of parts to build an early version (the largest exceptions were the road wheels, which were all-steel). 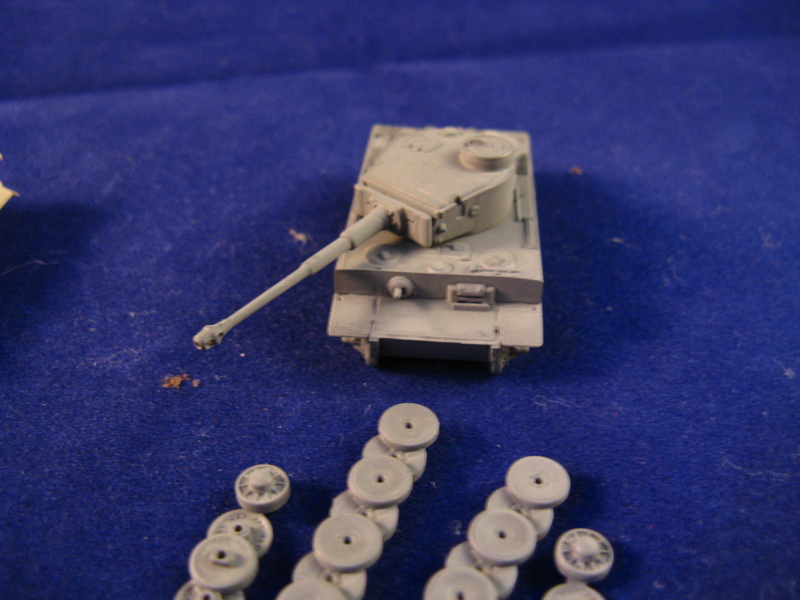 I got the toolbox leftover from a panzer IV conversion, swapped the road wheels from another DML Tiger (as I said I did have more of these kits than it’s healthy), and made some efforts to backdate the kit to an earlier version. Purists will find it lacking, but I am not a purist, so we’re in luck. I just wanted to do the camo. 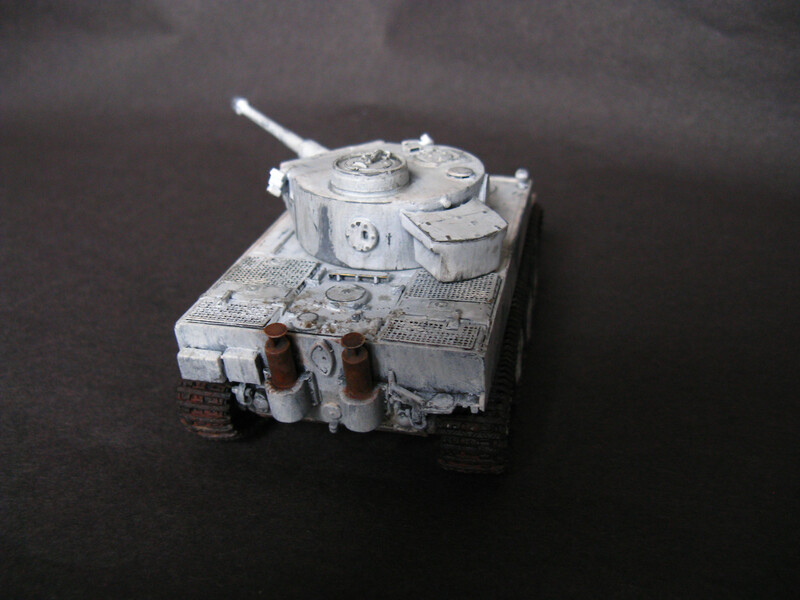 Once the build was done, I painted it panzer gray. Since I would be heavily weathered, and most of the gray would be covered with the remnants of the whitewash, I went for a deliberately streaked finish (less work now, less work later). YES, I KNOW THE SHOVEL SHOULD NOT BE THERE. I like the way it looks, ok? I was a bit apprehensive how it would work out, but I covered the whole thing with hairspray. It became somewhat sticky, and very shiny. After waiting a week or so, the stickiness disappeared, but the shine was still luxurious, just as the advertisement said it would be. Next step was the whitewash. 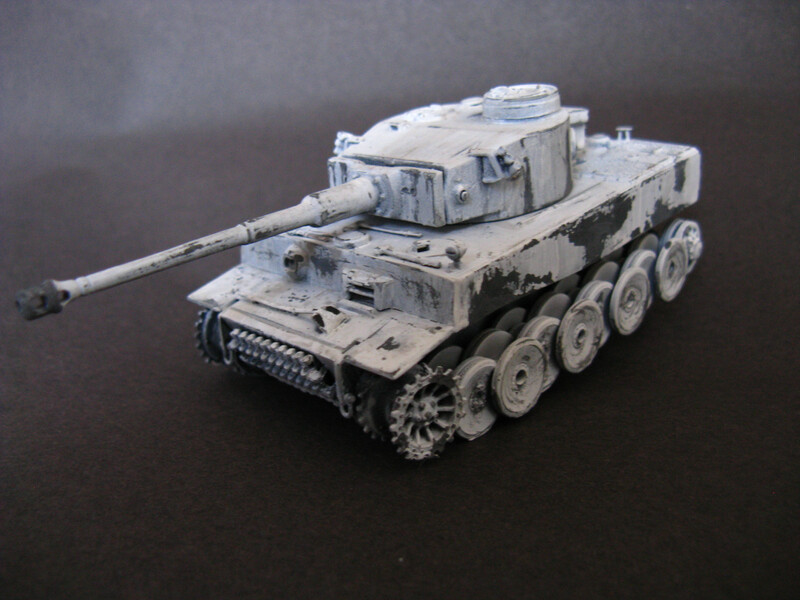 I used Vajello’s white primer, and applied with a brush. This is why I was worried, because most of the time the layer after the hairspray is airbrushed -I was worried the water in the paint would already dissolve the hairspray below. I chose the primer because it was really thick with a good coverage. I left the approximate areas clear of white. 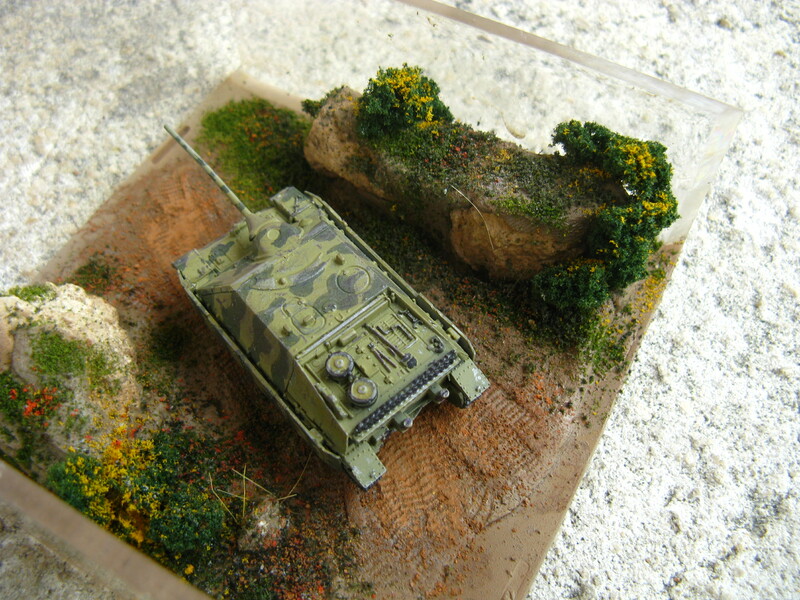 On top of the white I used some brownish colors to lightly drybrush the larger areas: mud and dirt staining (and being washed off) the vehicle. Next step: bring out the cotton swabs. I wet them (not too much), and started to rub them against the surface (very carefully). Sure enough, the paint started to flake of, like a charm. At this stage the contrast by the wear and tear looks a bit too stark: the gray is too clean. After drying I sprayed a matt varnish over the tank to seal the hairspray. Next step of the weathering process: oil filters. First- white. I put drops of the oil paints onto a piece of cardboard, and left them there for about 20 minutes to draw the linseed oil out. Using a toothpick I put dots of white all over the model, and then a flat, broad brush wetted with mineral spirit was used to remove most of the paint with downward motions. 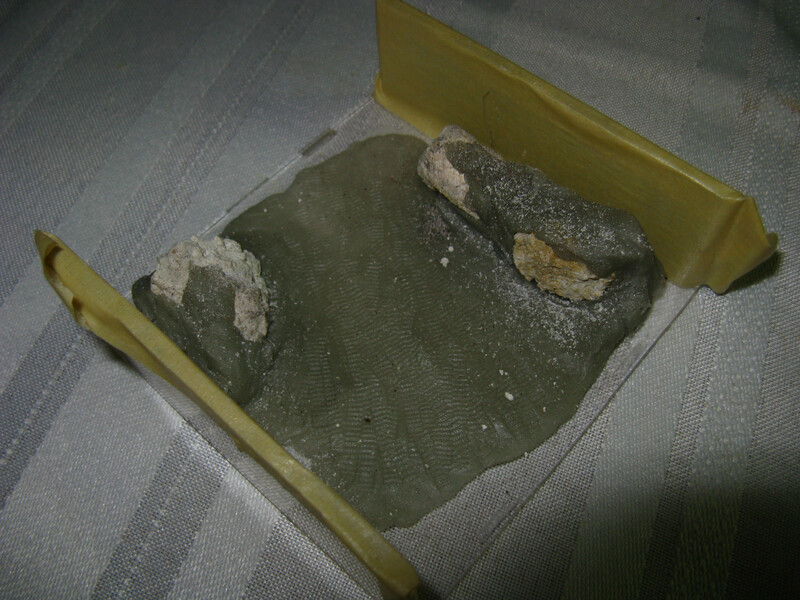 This deposited a very fine layer of white onto the surface. 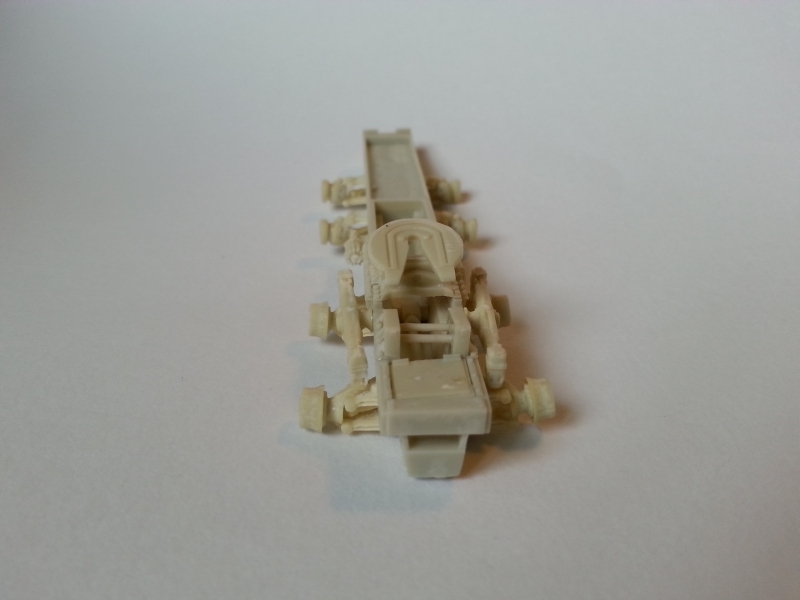 After drying the same was repeated on the lower chassis using browns (burned umber, brown). 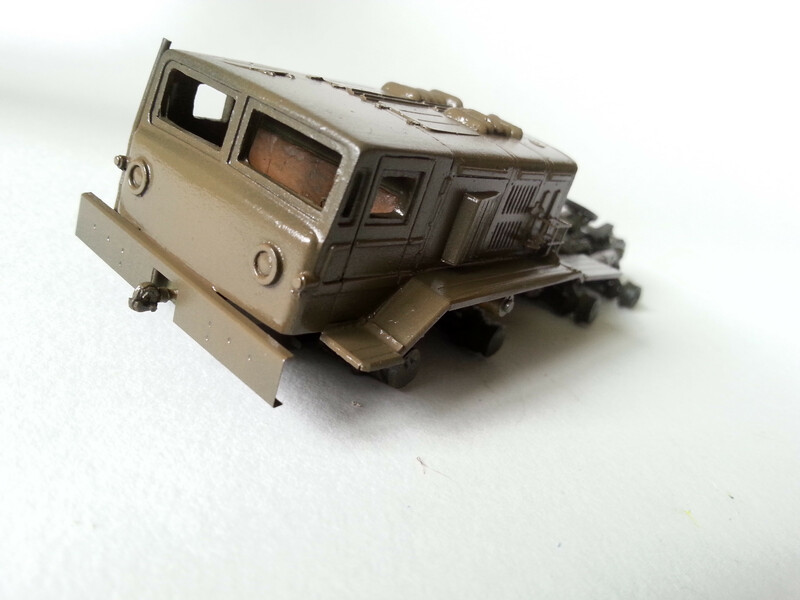 A soft pencil was used along the edges to give it some metallic shine, some pigments (white, and different mud colored ones) on the running gear and the tracks, rust colored pigments on the exhaust pipes, and I called it a day. All in all, it looks pretty good for its scale. The Germans had an obsession with enormous guns. 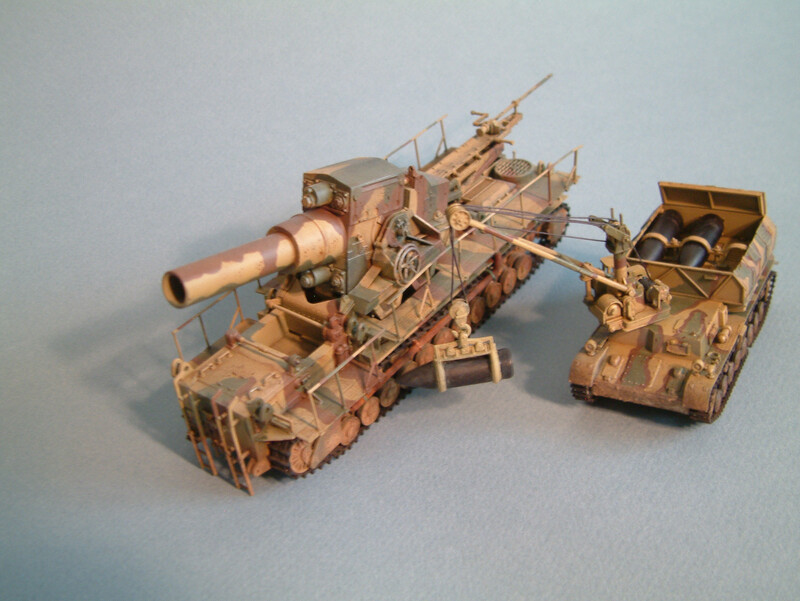 Sturmtiger, Karl-Gerat, rail guns of all sorts – Dora especially, it seems like whomever was in charge for projects, he was overcompensating for something. They look awesome, they make for nice scale models, but that’s mostly it. Somehow the designers of these enormous weapons forgot one important thing the 20th century already taught by the time they were conceived: if you really need to kill a lot of people, it’s cheaper to do it using the air force. The sheer logistics required to set up and operate these weapons severely limited their usefulness in a fluid, dynamic battlefield. They were designed for a static siege warfare, and that was mostly a thing of the past. The Karl mortars saw service at Sevastopol, at Warsaw, and at the Battle of the Bulge, but in general, their impact was not exactly strategic. 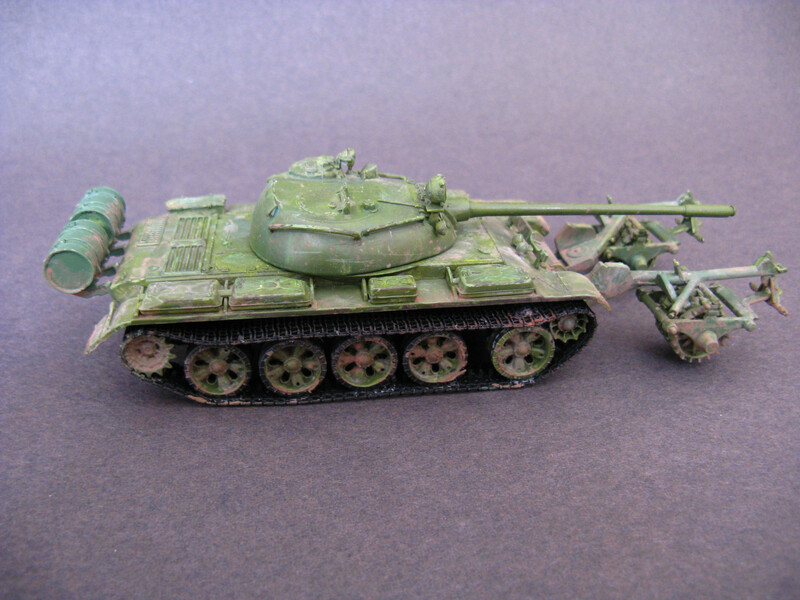 The Hasegawa offering is surprisingly good considering its age. 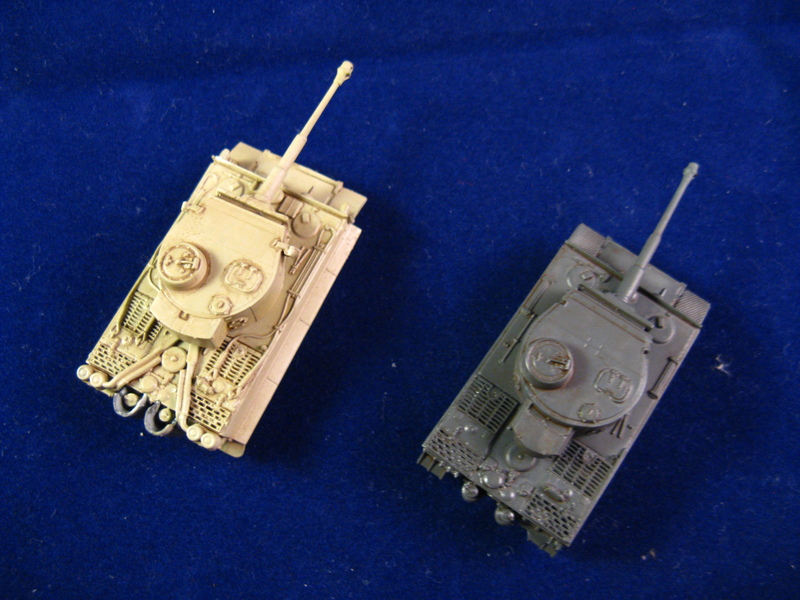 You can choose between the original 60cm or the later long-barreled 54cm variants. 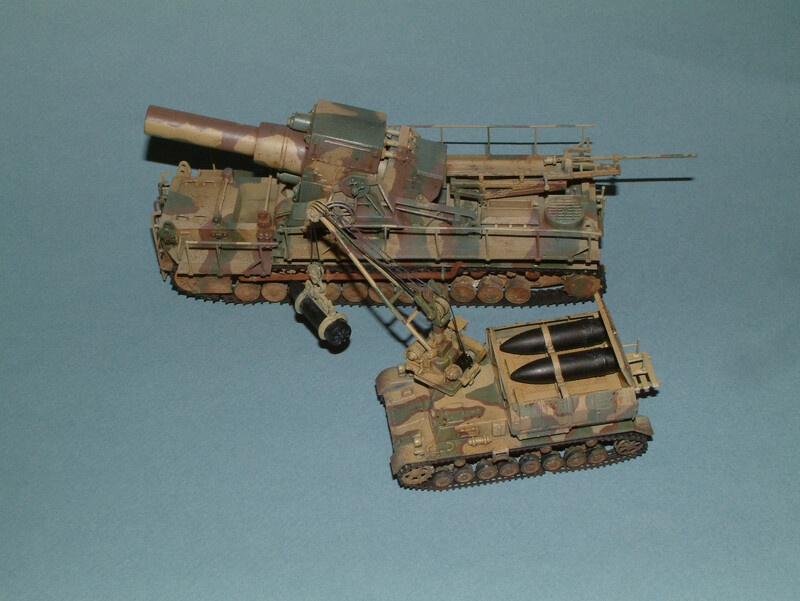 As you can see, I’ve chosen the late-war 54cm mortar, since I’ve already built the DML 1/144 version of the same vehicle with the 60cm gun. 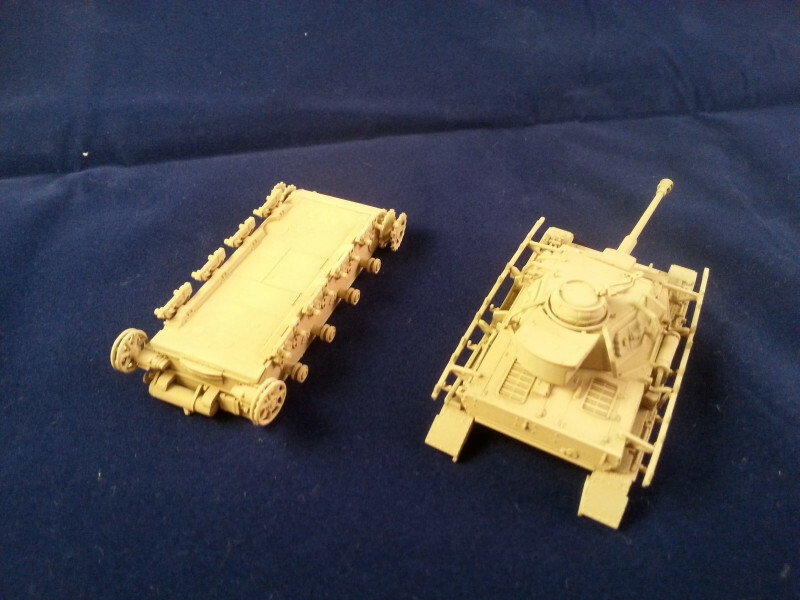 You essentially get two models -the mortar and the ammo carrier-, and they both are very nice kits on their own right. It really was a joy to build them. 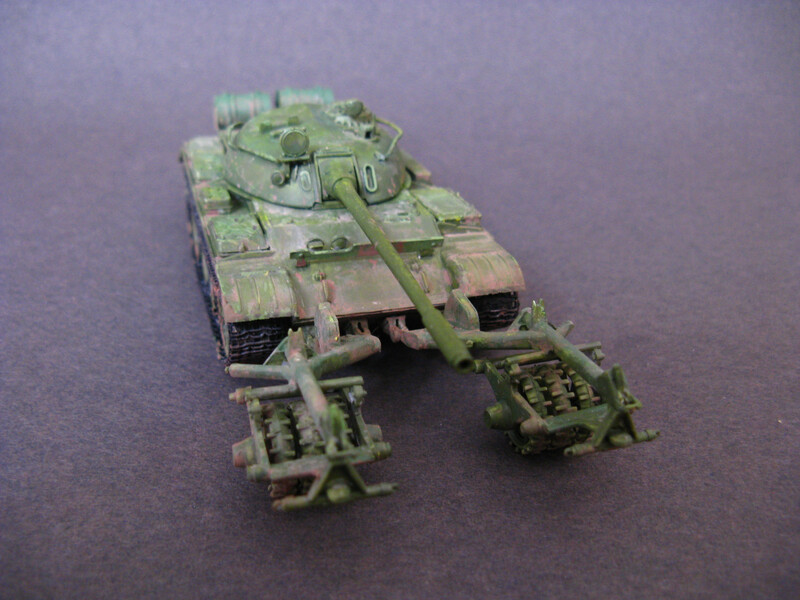 This was the first ever time I tried my airbrush. 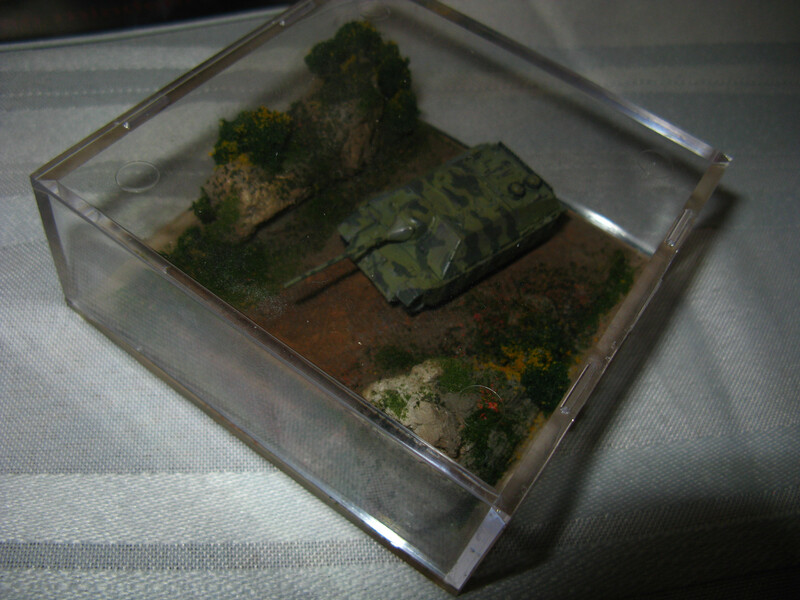 I used a dark brown primer (simple spray can), and as the first color of the 3 colored camouflage I layered sand on top. 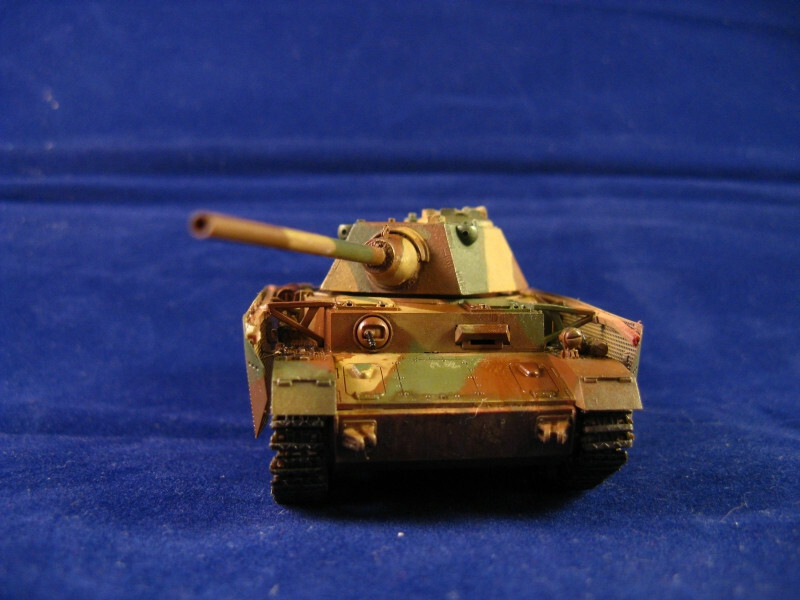 The brown-green camo was done using silly putty as masking. Once all the colors were on, I used brown filters to turn the sand color more like the German Dunkelgelb, and to blend the different colors together. 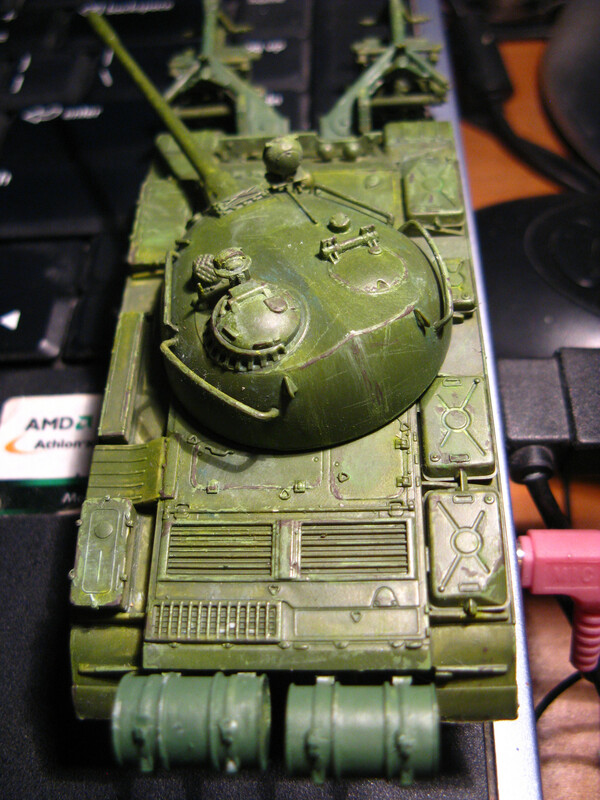 Once all the camo colors were done, I installed the ammunition into the carrier. I used thread to simulate the metal cables for the winch, but I ran into some difficulties: the projectile carried in the arm of the winch was simply too light, so the thread was not stretched. It looked like it was holding a projectile-shaped balloon, and not a 2000kg projectile. I cut away the bottom of the projectile, and stuffed as much fishing lead into the cavity as I could. 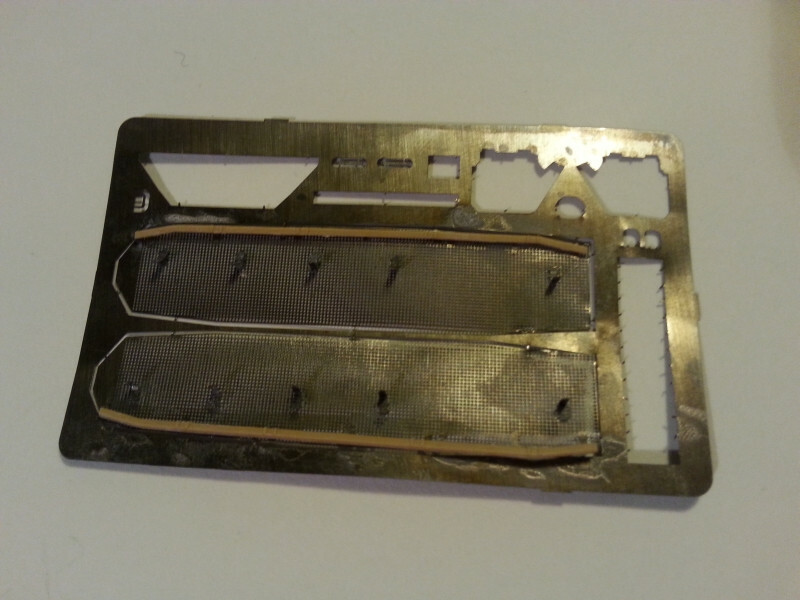 I also pulled the thread tight, and applied glue to it to make it still. These two solutions together made a realistic-looking winch. Phase two of the early experiments on scratches. 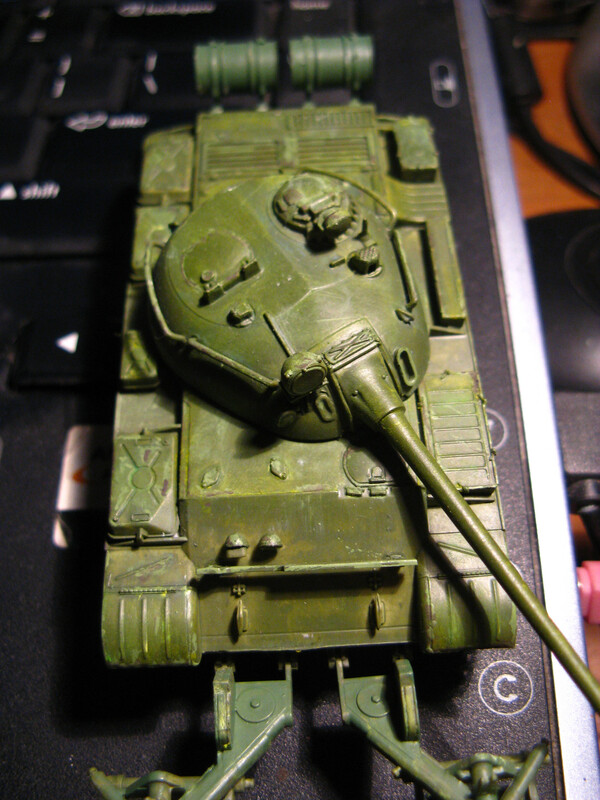 So: dark green base color first (painted the external fuel tanks in a slightly different green), then a very light green drybrush to mark the areas where wear and tear would scratch the paint off. At the deeper scratches I used an even lighter green, and in the middle of these scratches I went in with Vajello’s German Cam. Black Brown to simulate the exposed metal. The mud was done using ground up pastels, fixed with Mig’s Pigment Fixer solution. 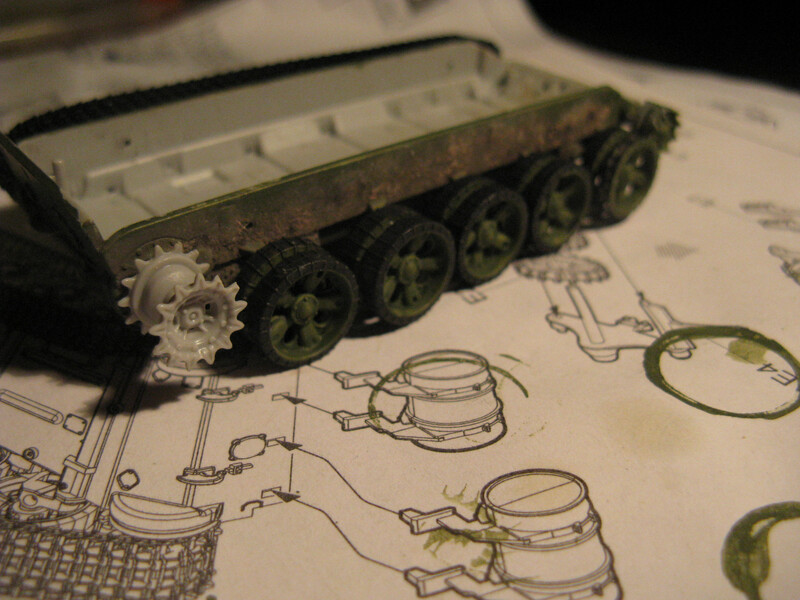 On the lower chassis I wet the surface with the fixer, and then carefully sprinkled the pigments on from a brush. O the top of the chassis I mixed the two together, and used a brush to apply it. Before it dried I used a cotton swab to remove some of it with downward, streaking motion, to simulate the effect of weather on the splattered mud. 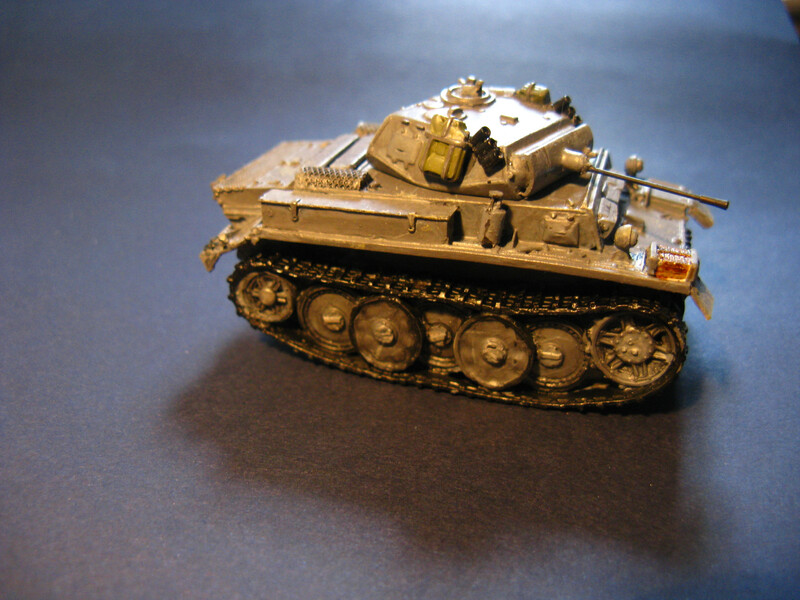 The PzKpfw II Ausf. 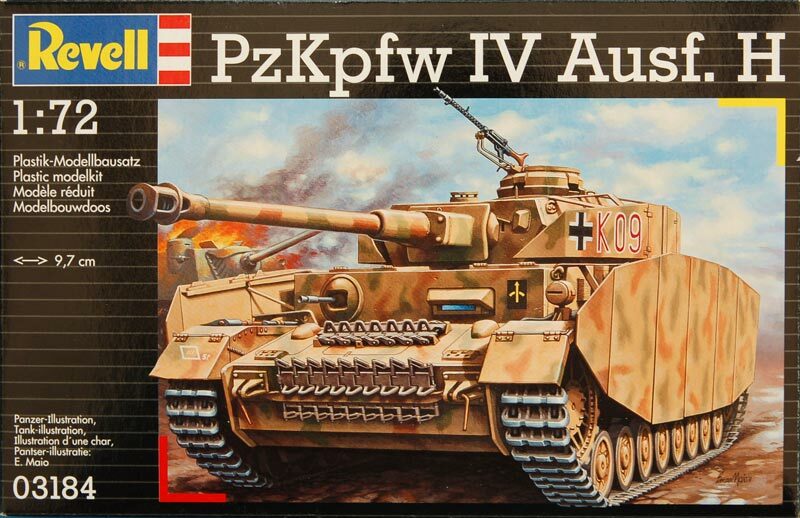 L “Luchs” was -as the name suggests- a variant of the Panzer II. 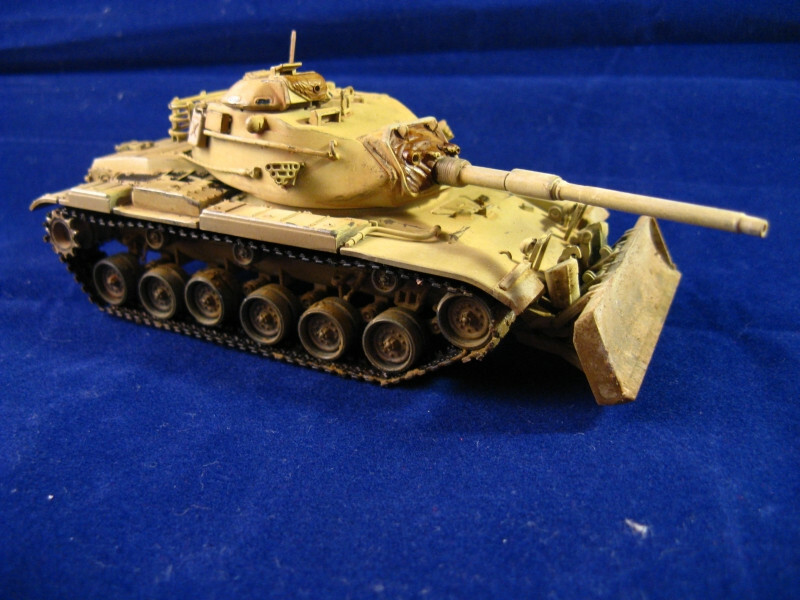 (It was called Pnz II, yet it shared almost nothing with any of the Pnz II variants. Different engine, different suspension, different chassis, different tracks… and the list is long. It was essentially a separate design of its own.) They’ve built 104 of this tank, and used it extensively in the early war years. 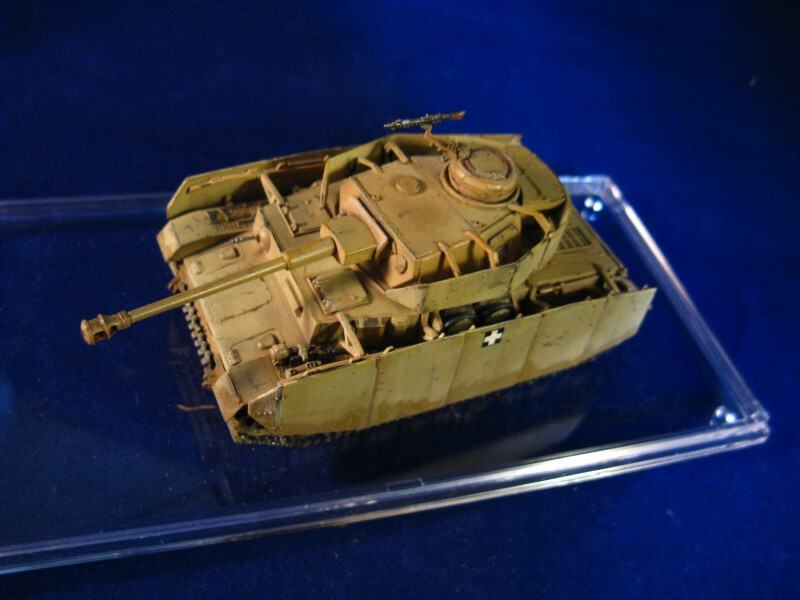 This tank was used as a reconnaissance tank, and it was not particularly successful -or useful. 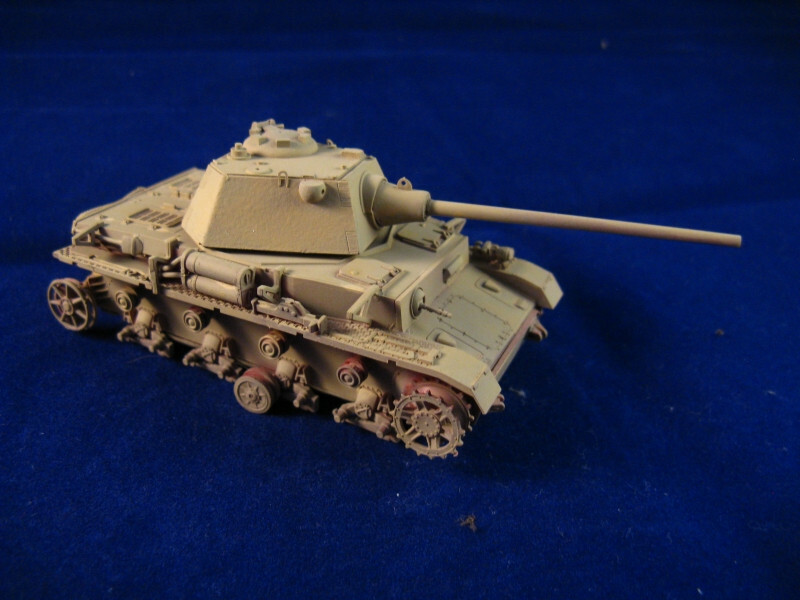 It was not a failure, either; but the concept of a light tank was probably outdated by 1942. 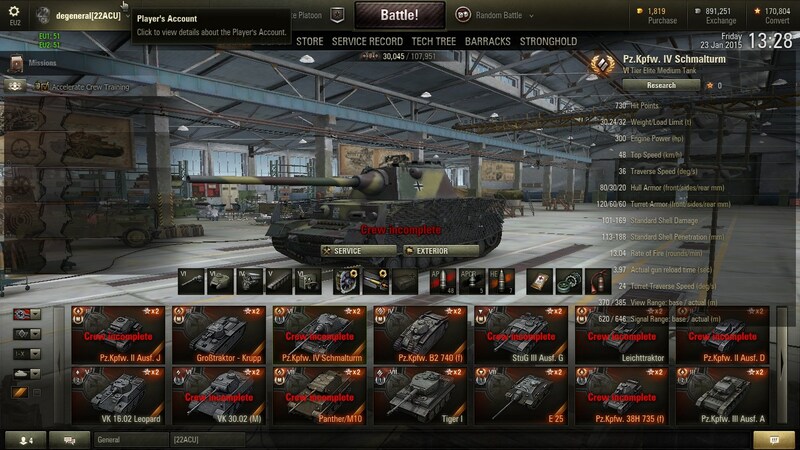 I don’t do particularly well in it, but I love the Luchs in World of Tanks. 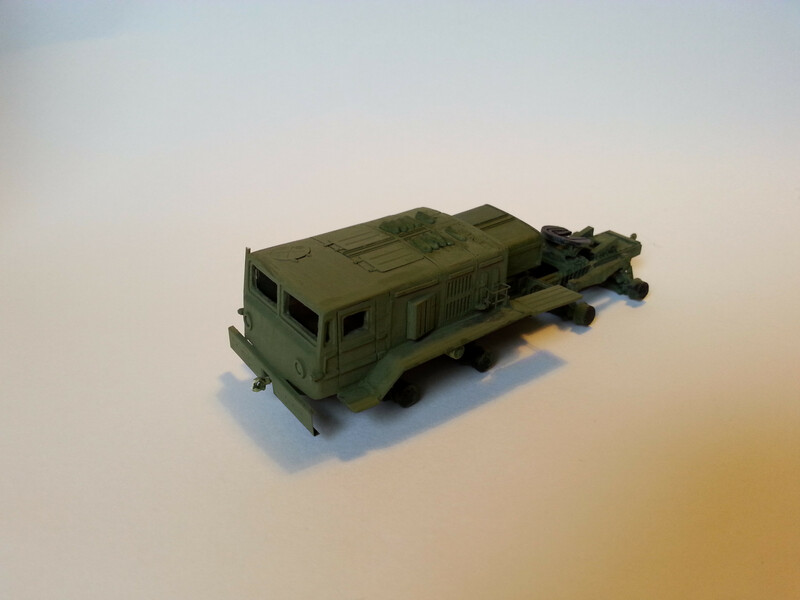 So I got the ModellTrans version. 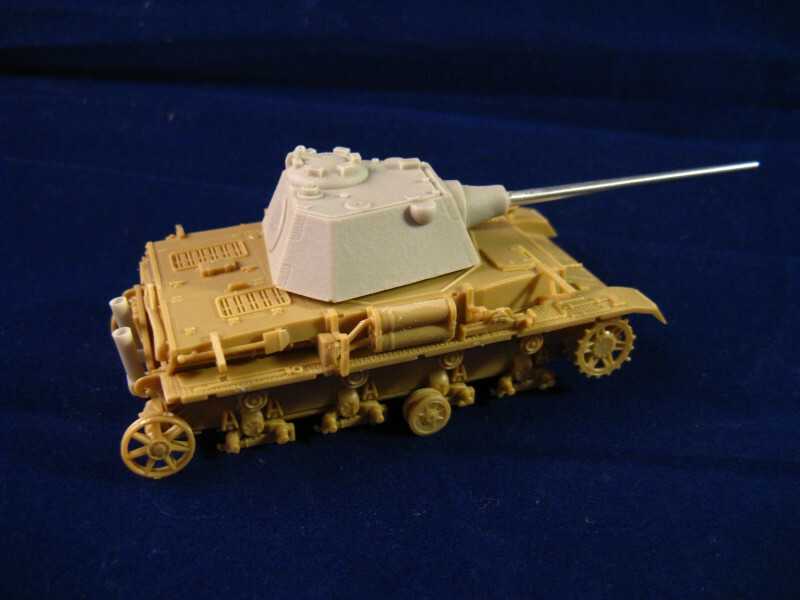 I’m not sure if the turned barrel comes with the kit or not (I’ve ordered quite a lot of models back then with 2cm guns). 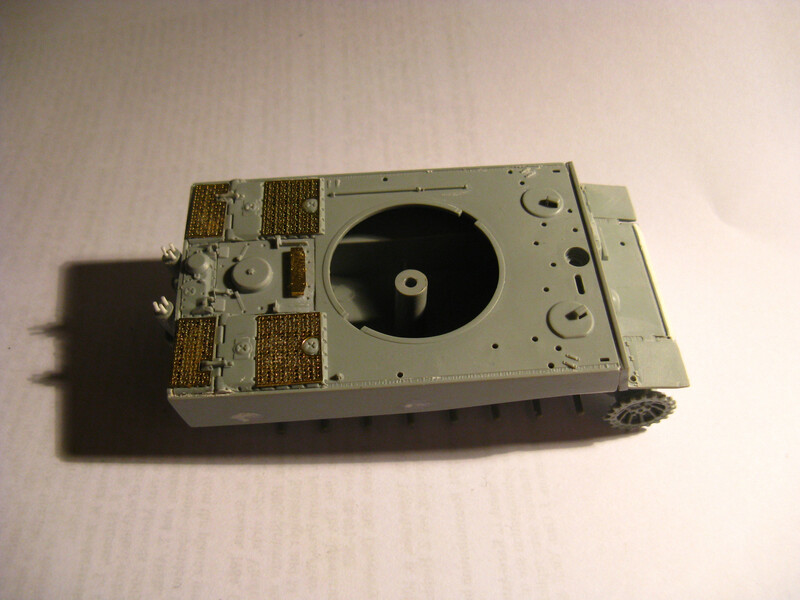 What I do know is that I dropped the turret once, and the originally installed resin gun barrel just disintegrated. The moral of the story? 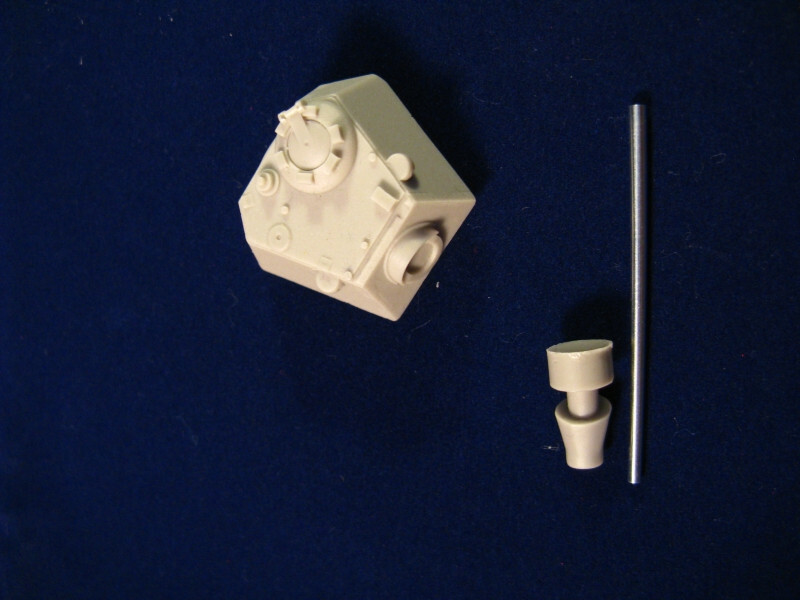 Don’t glue in thin, sensitive parts that are prone to break until the last minute of the build. 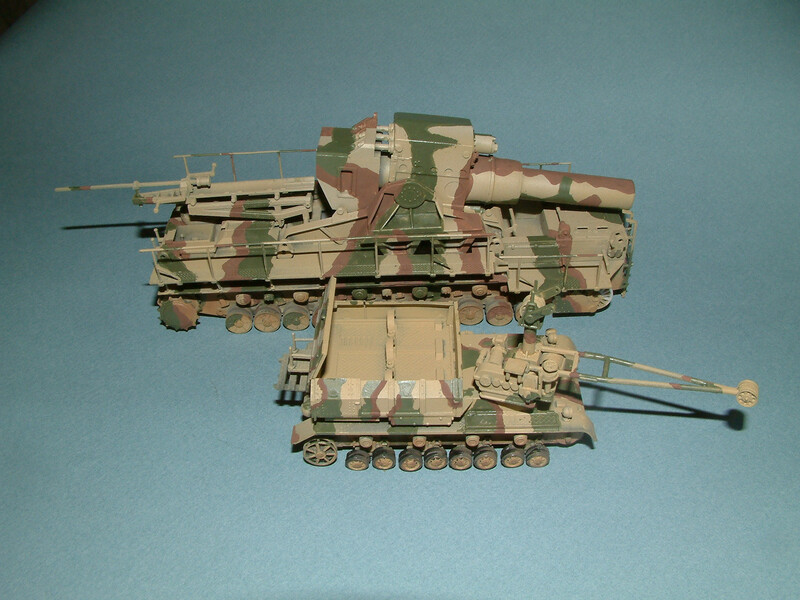 The model is very simple, easy to build. About 6-7 pieces total. I was experimenting with scratches in braille scale. The first layer of the scratch was a lighter shade of the base color, and a brownish color was used in a much smaller area inside the scratch, representing the exposed metal.